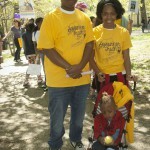 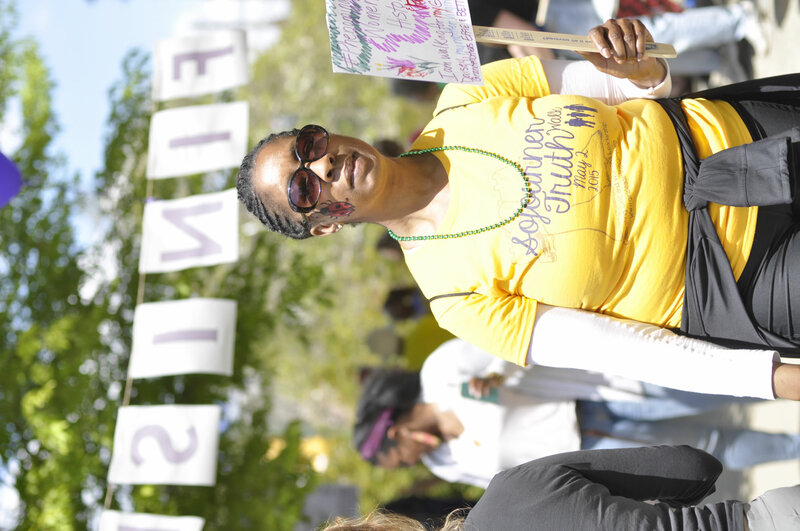 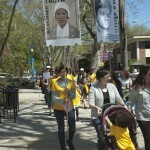 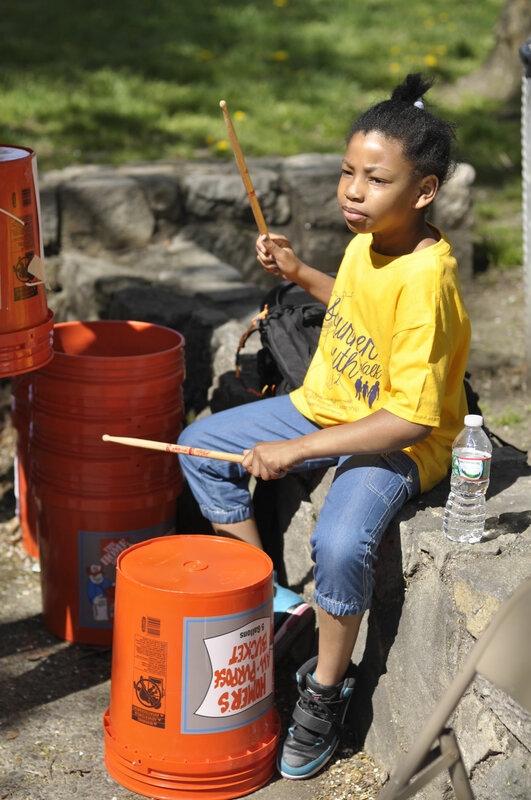 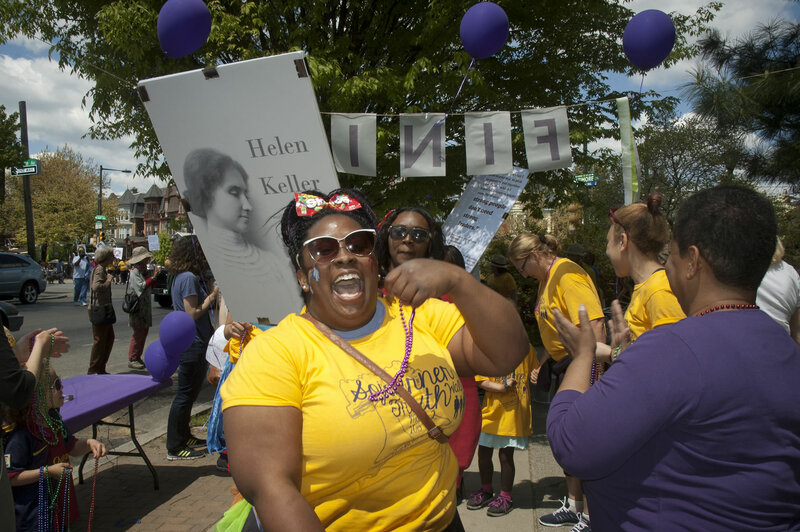 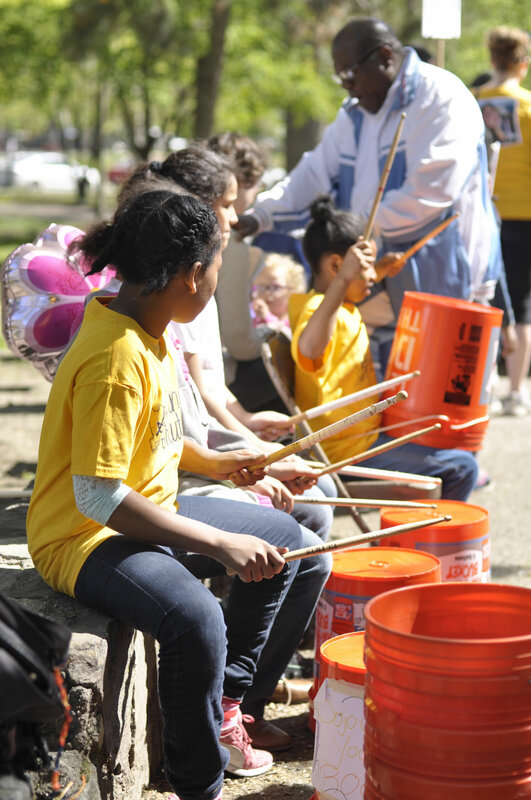 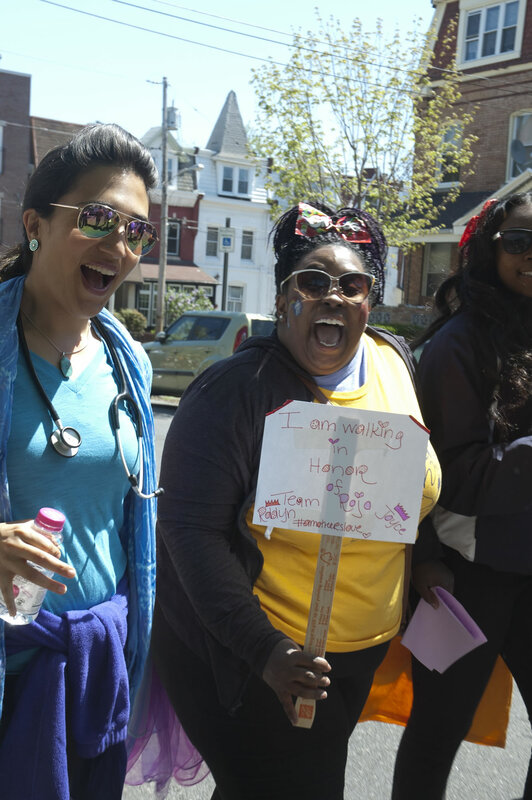 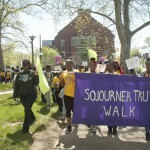 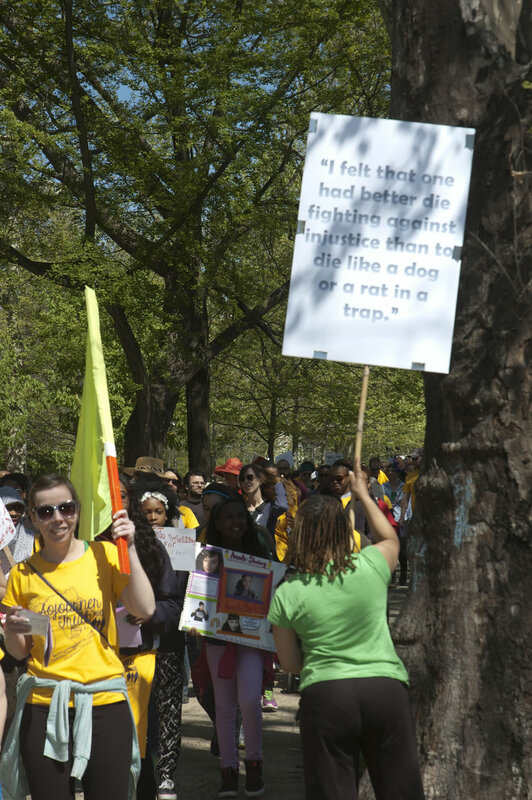 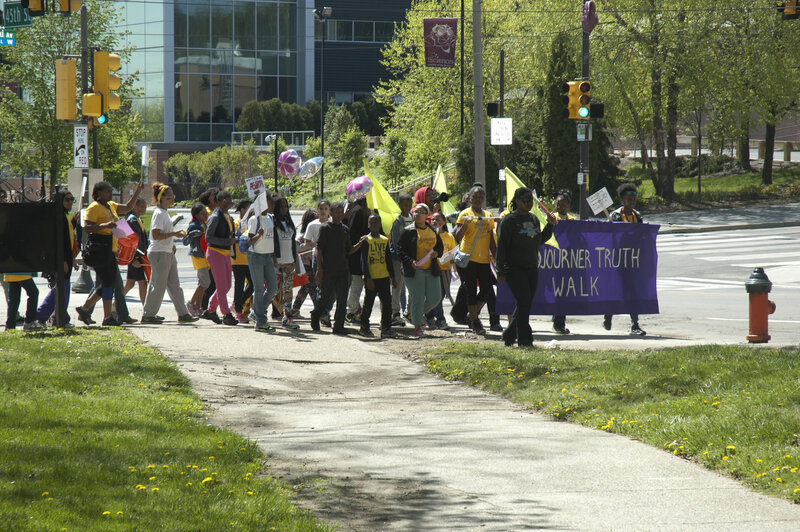 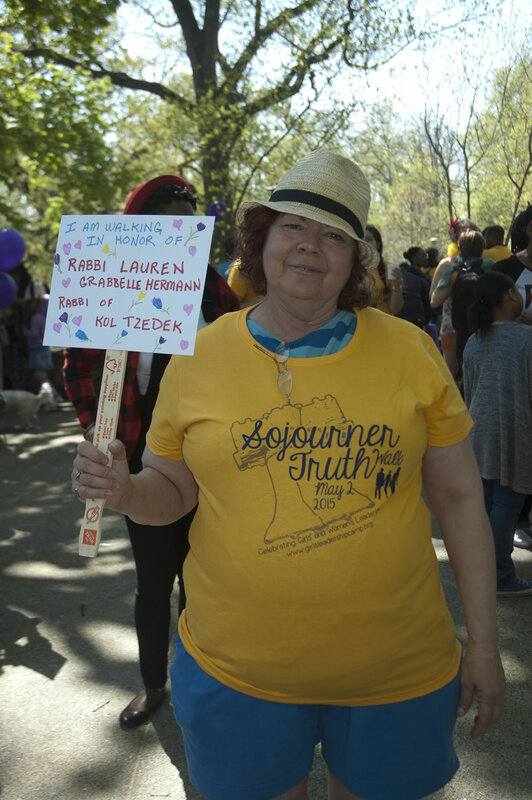 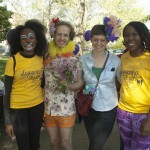 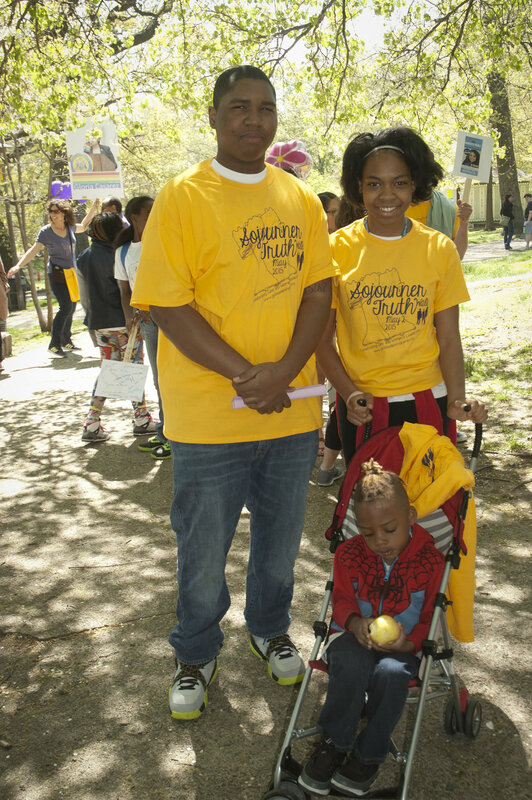 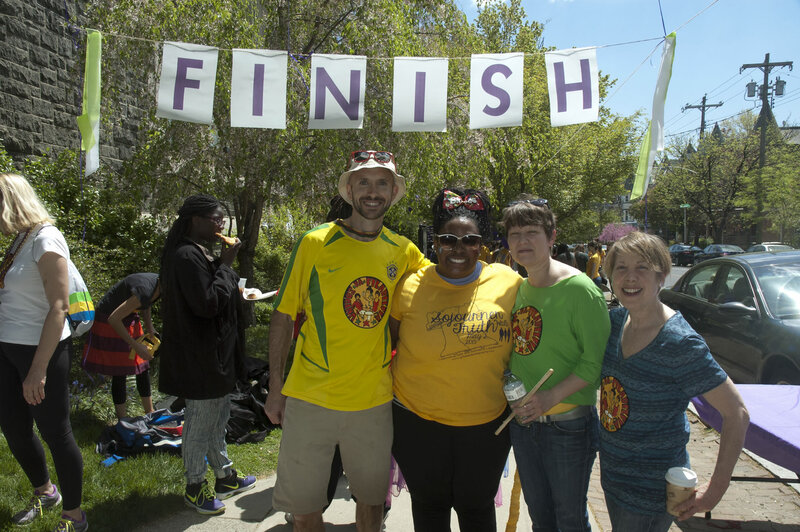 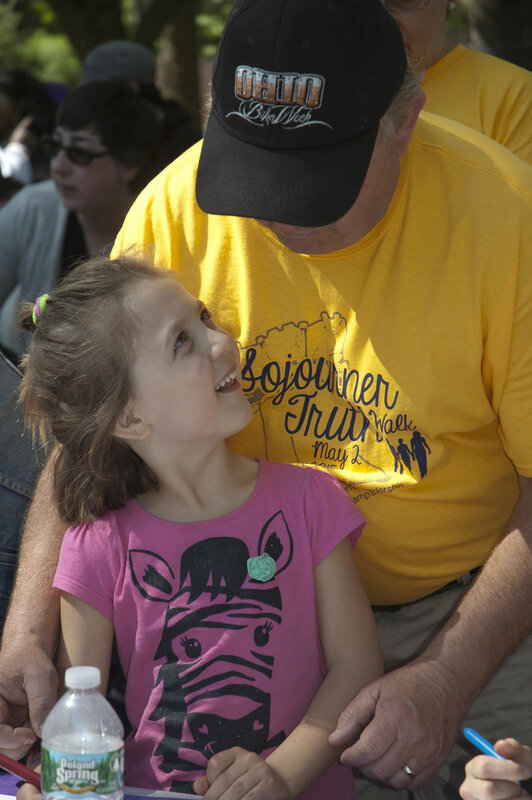 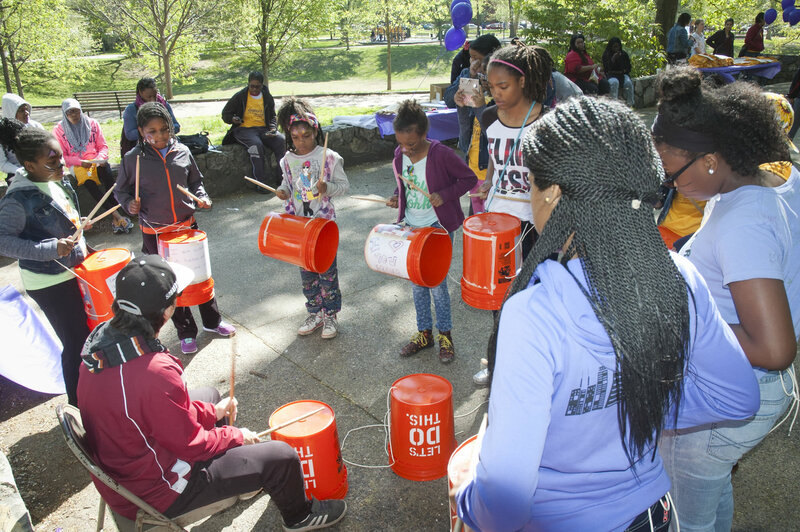 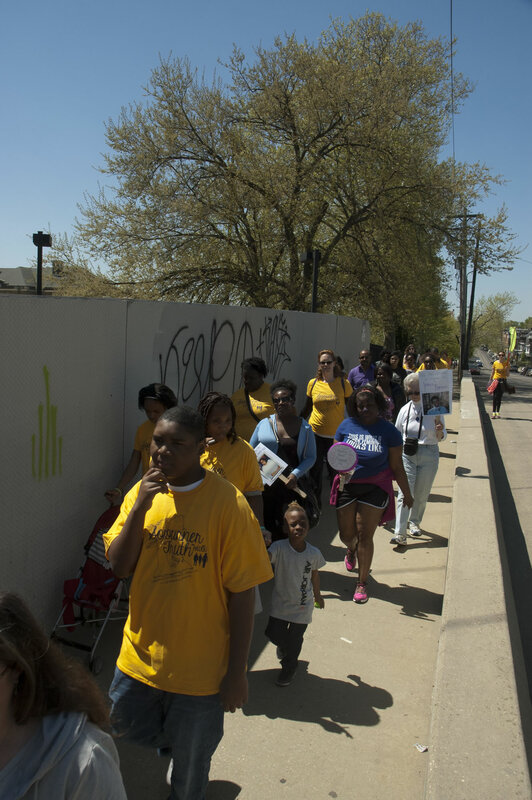 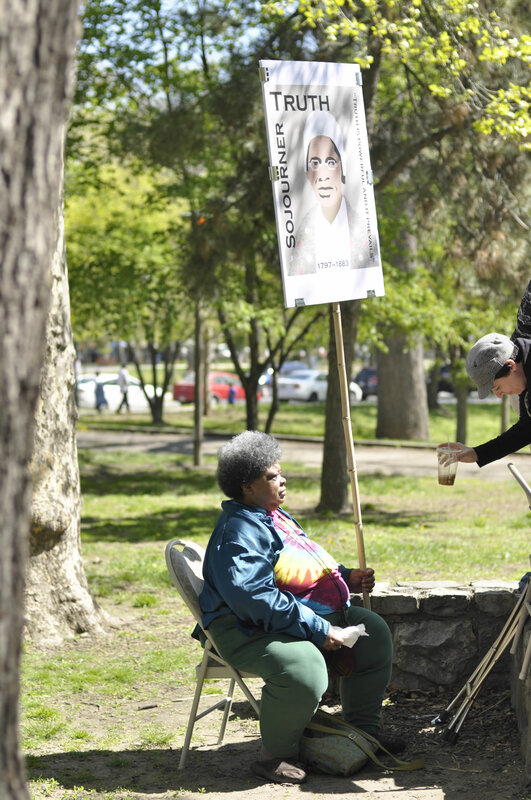 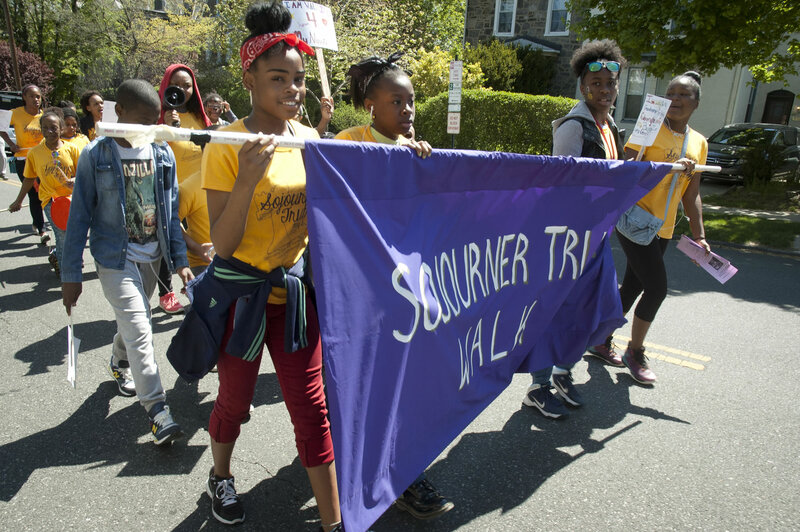 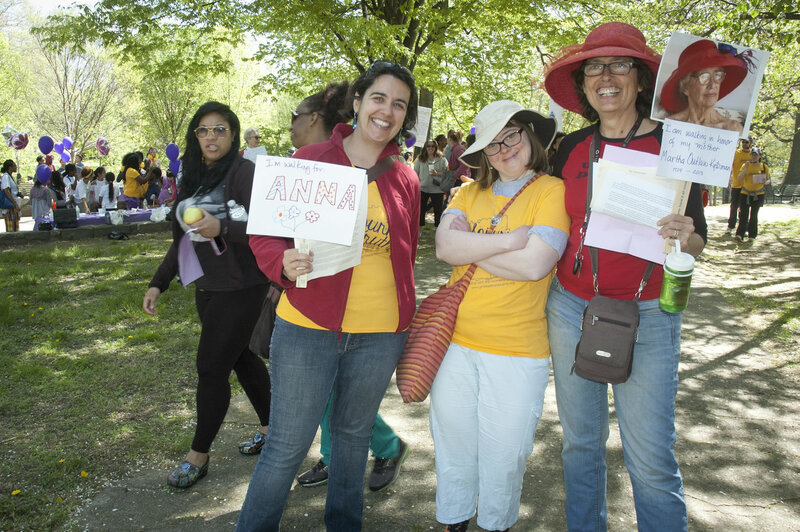 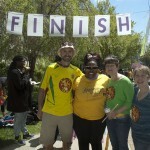 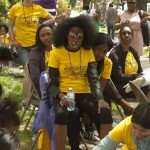 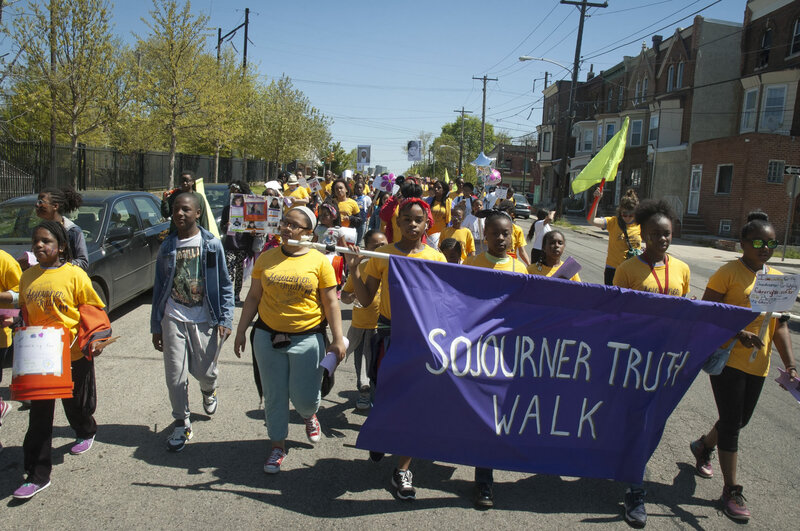 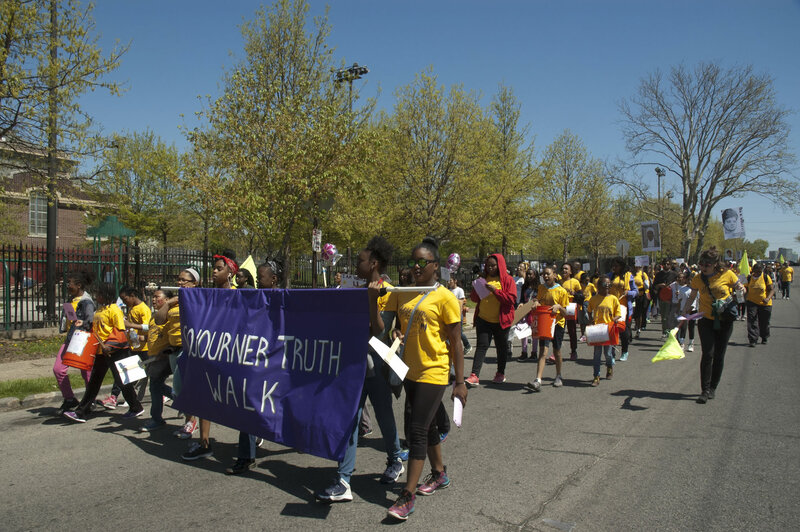 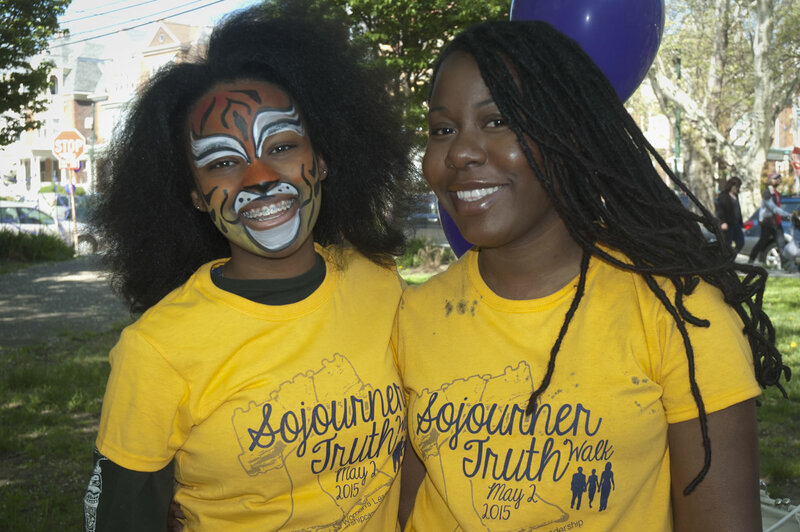 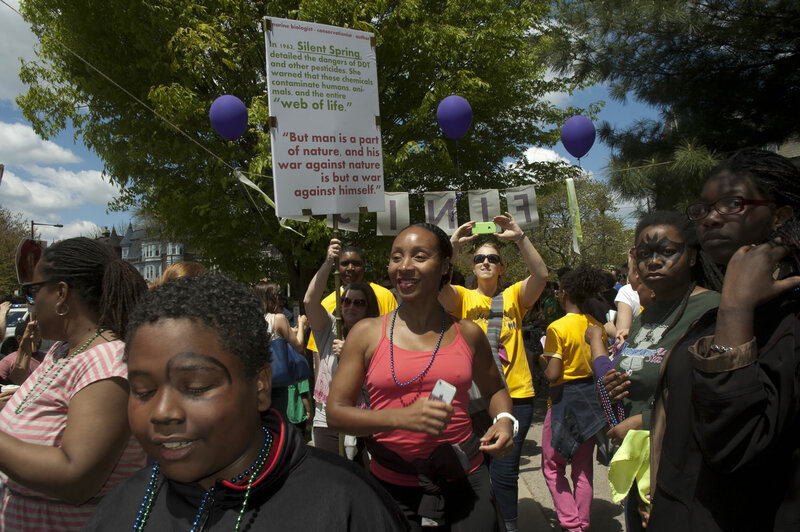 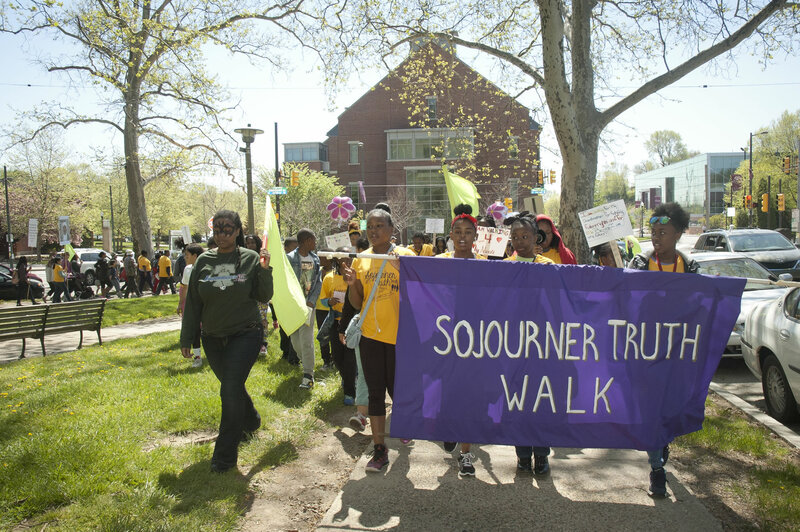 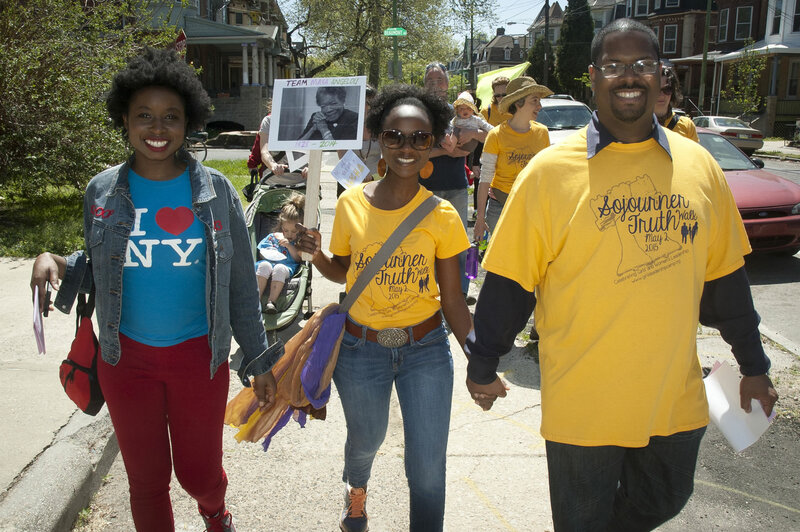 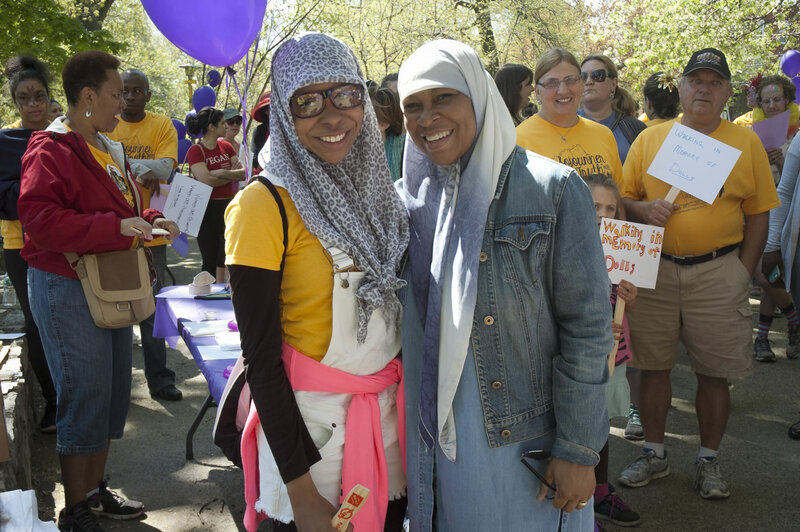 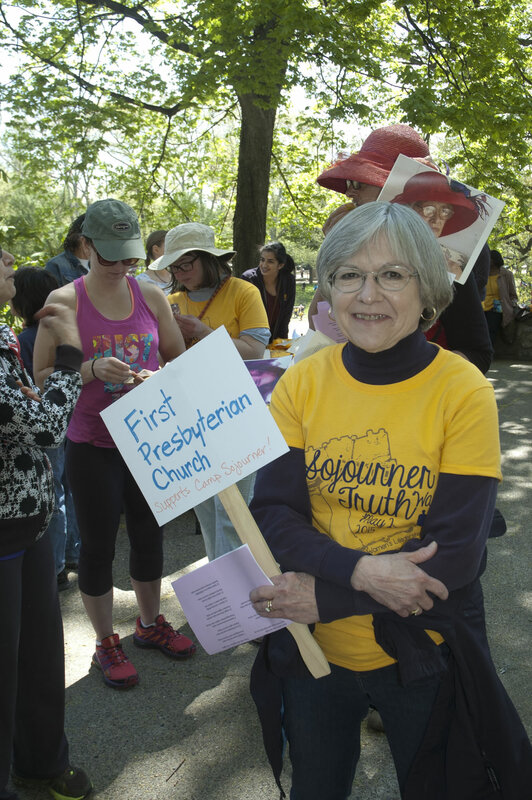 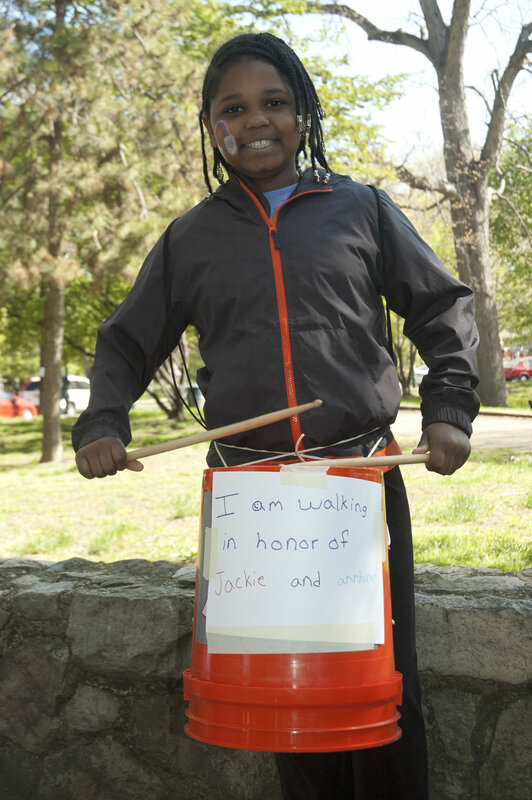 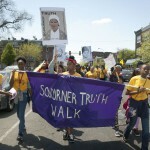 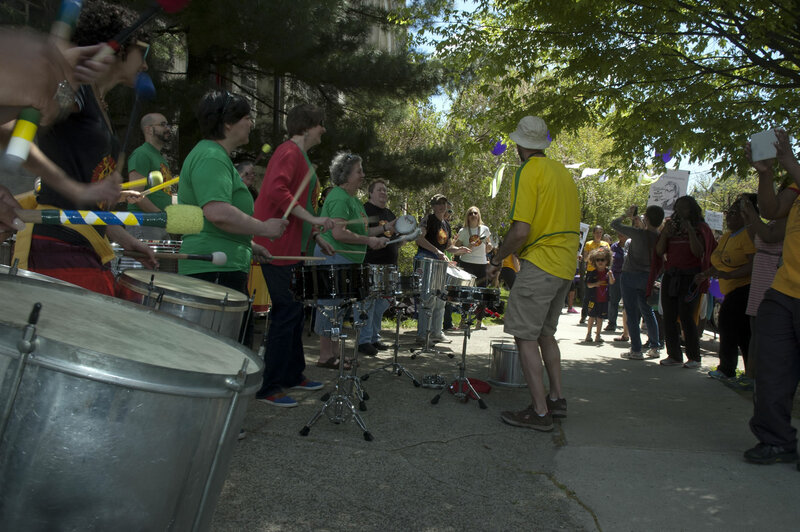 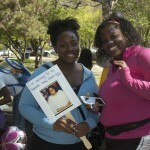 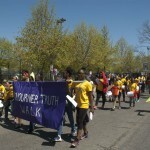 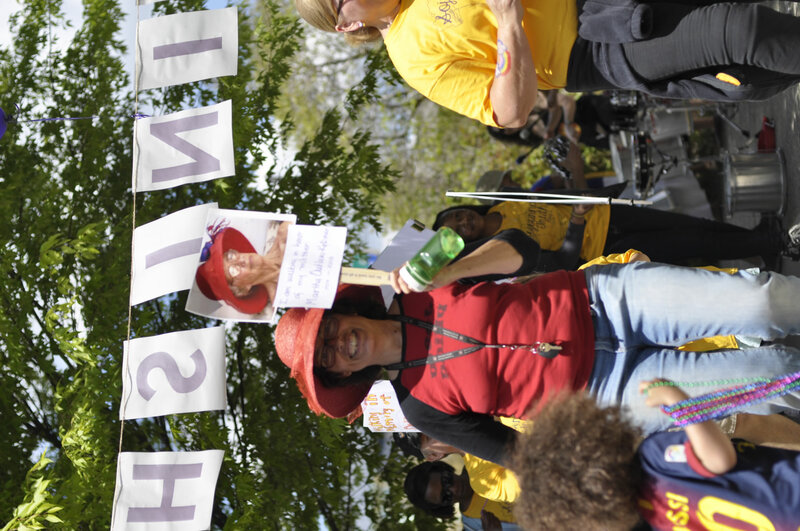 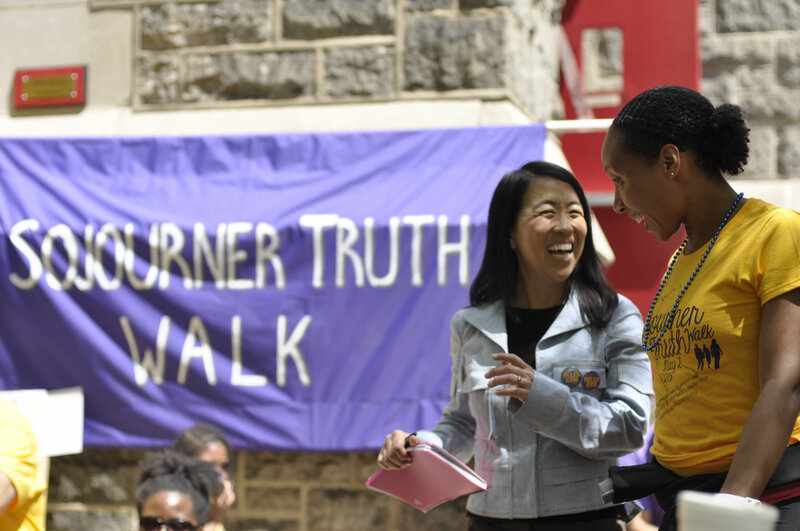 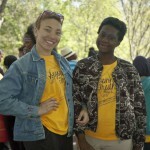 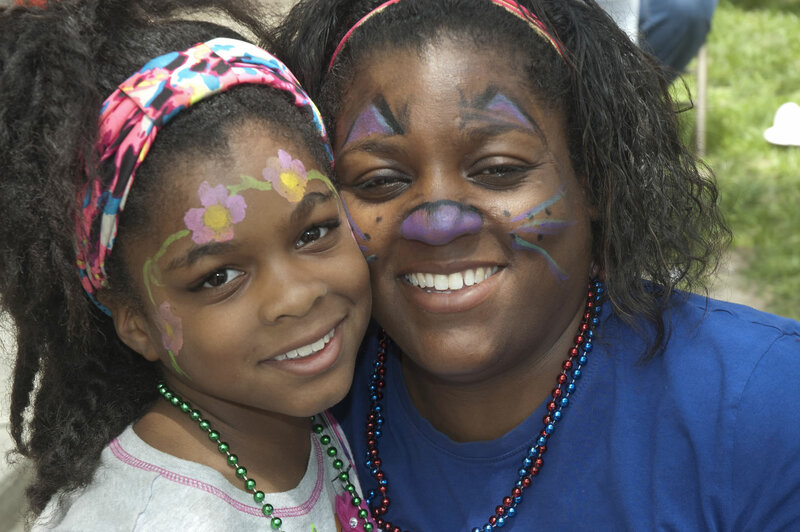 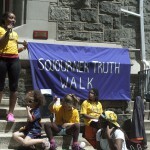 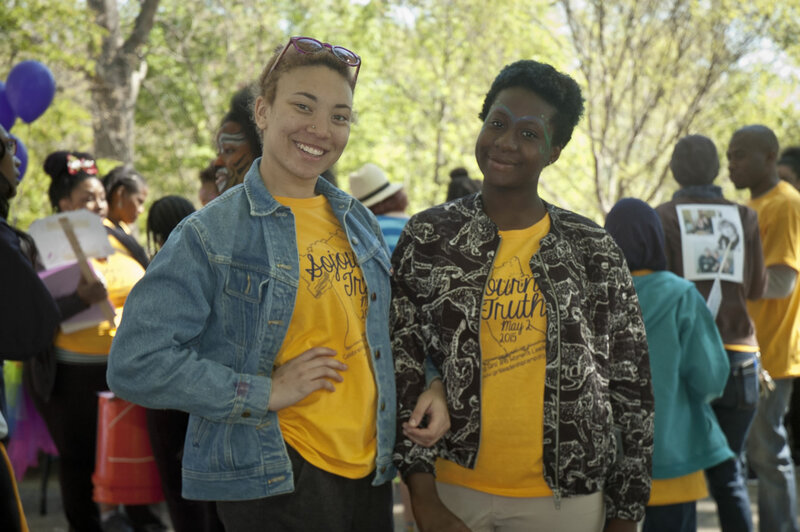 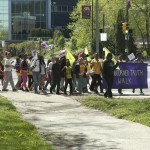 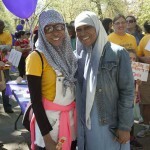 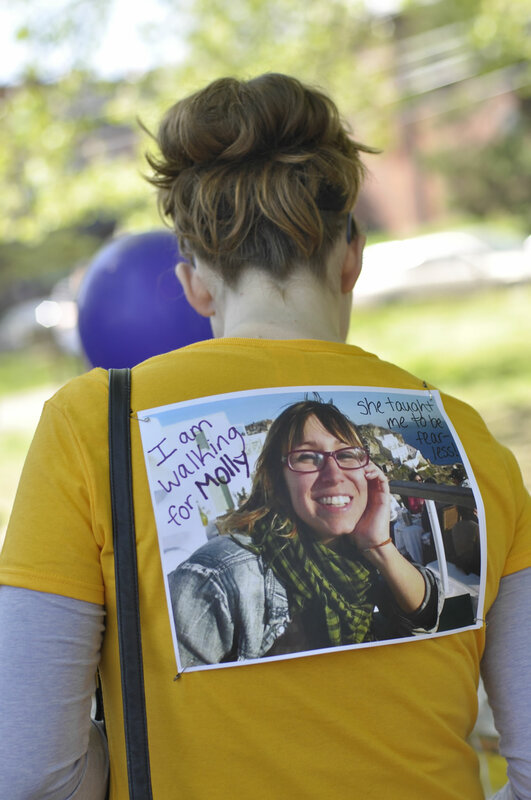 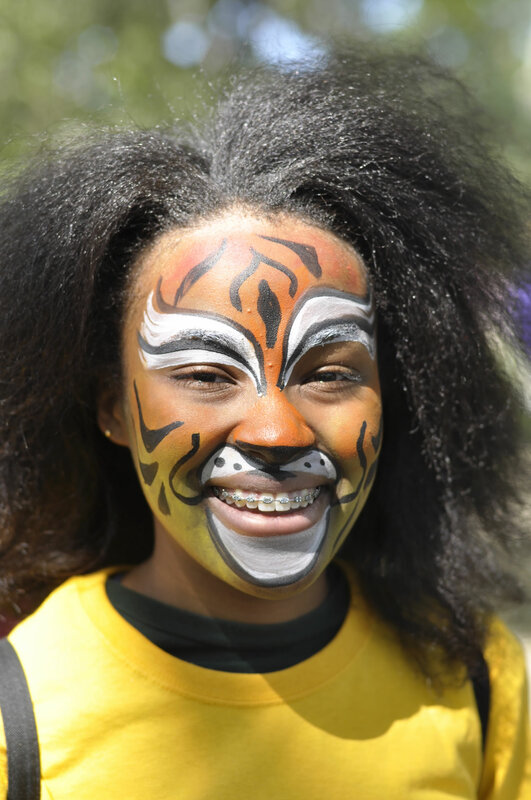 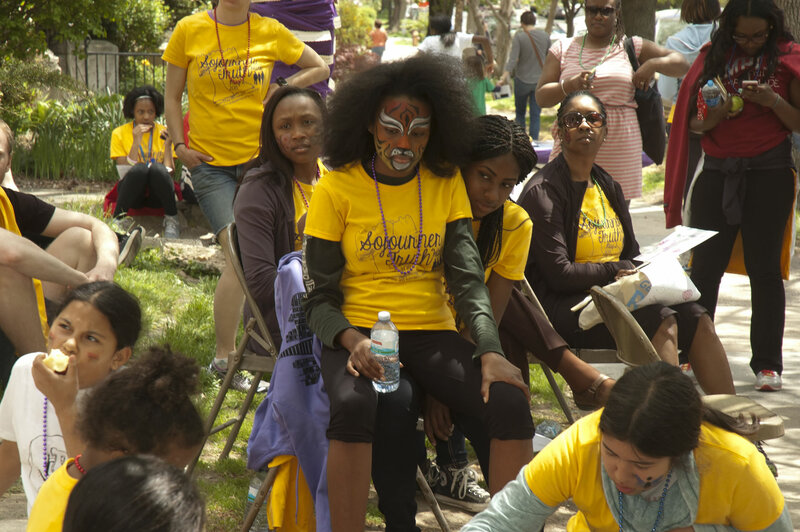 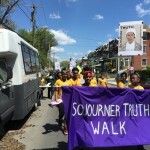 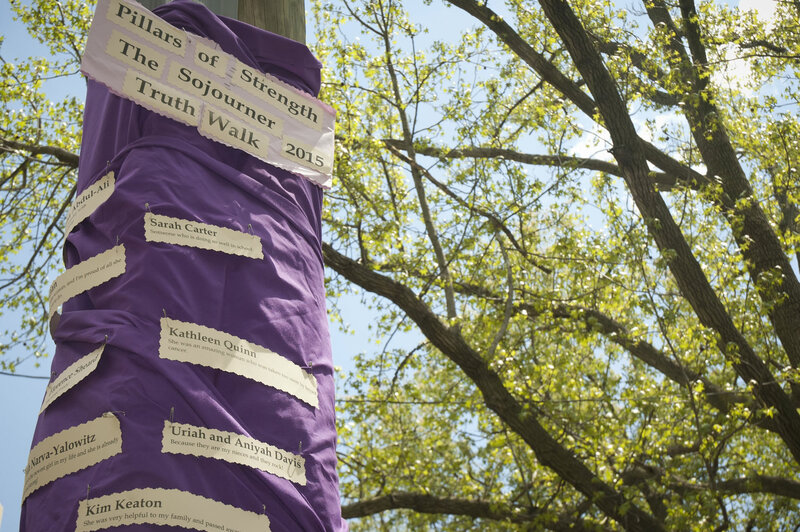 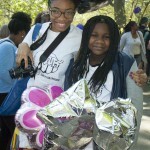 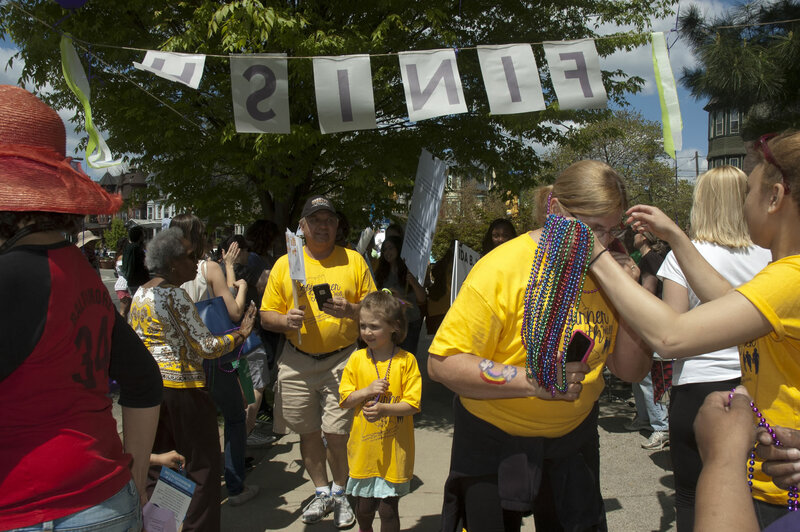 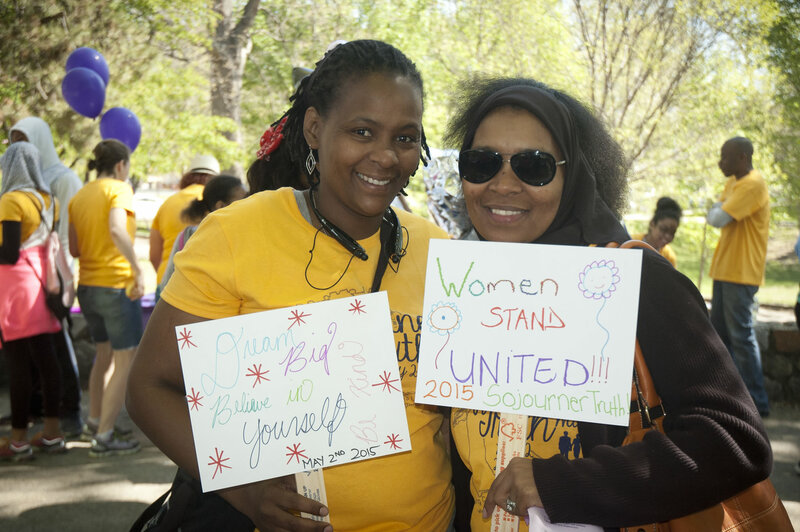 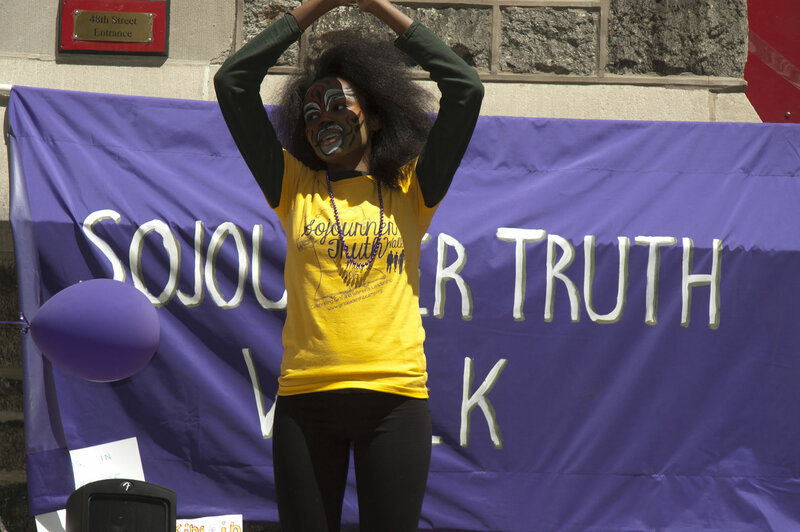 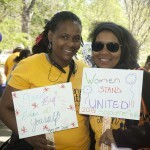 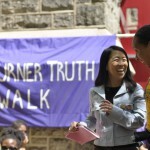 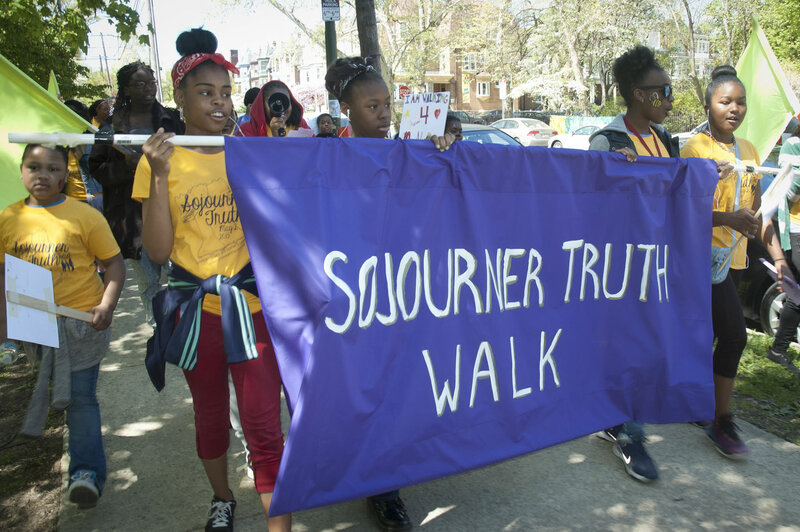 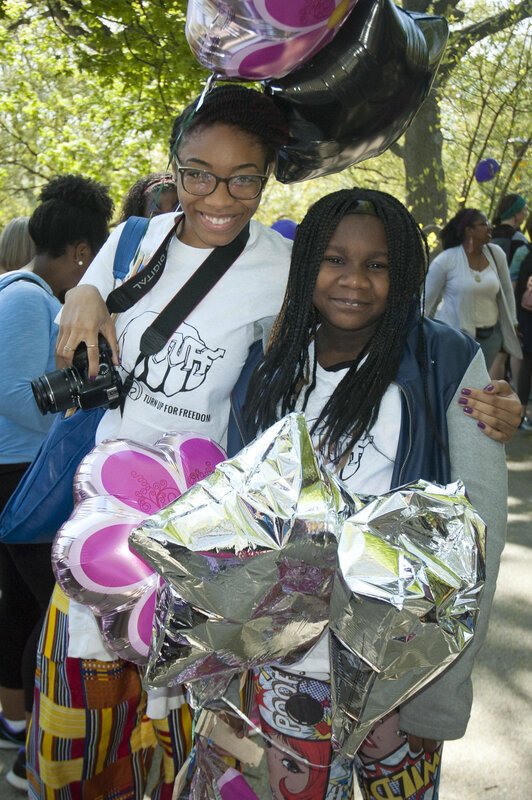 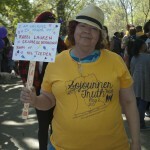 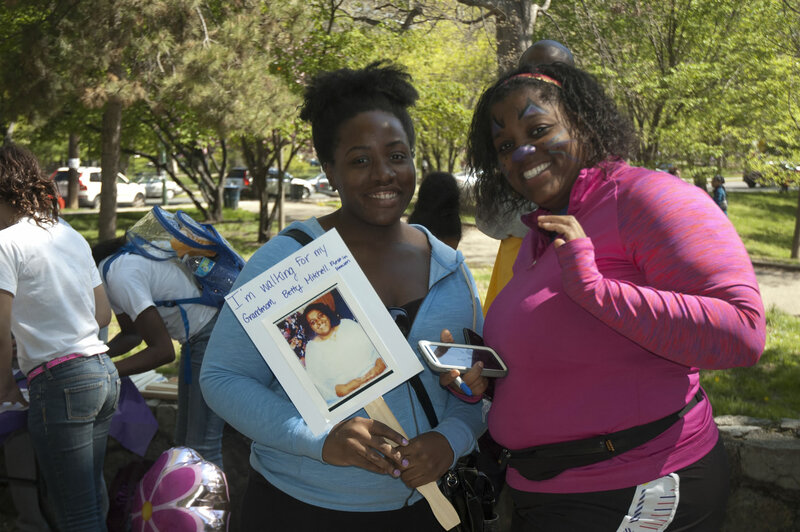 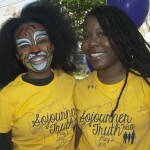 Thanks to all of the walkers, sponsors, performers, and volunteers who helped make the Third Annual Sojourner Truth Walk on May 2, 2015 an amazing success! 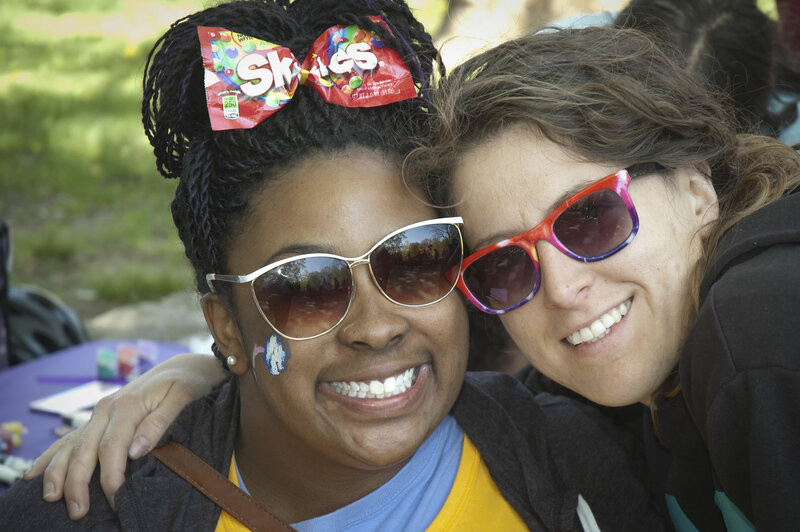 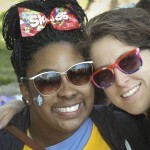 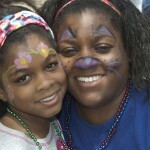 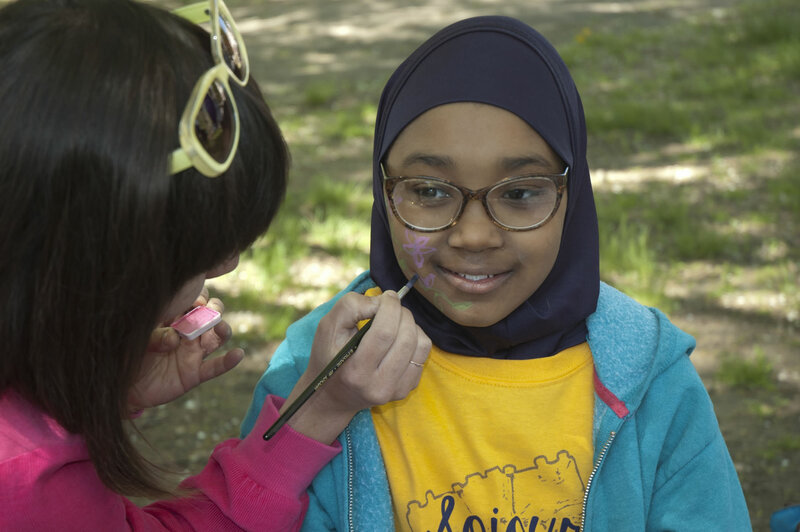 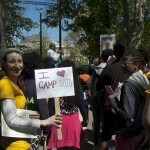 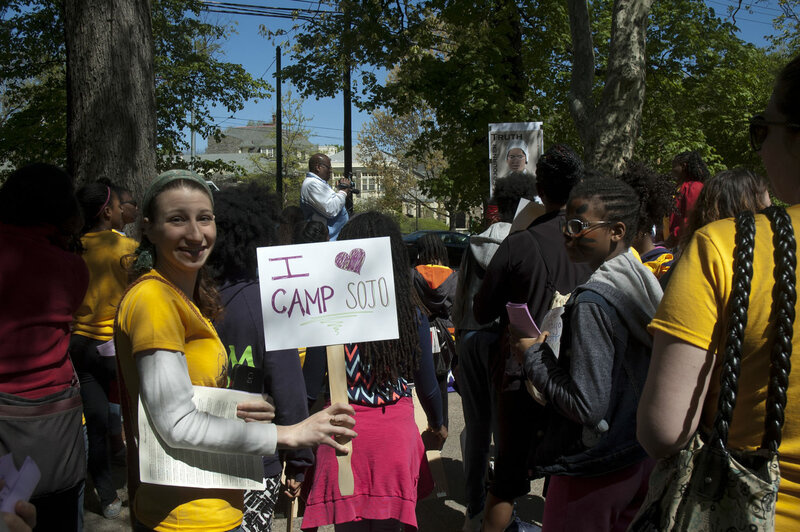 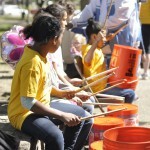 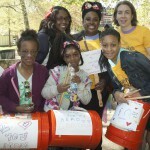 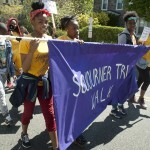 We surpassed our goal and raised $21,000 to send 65 Philly girls to Camp Sojourner this summer and offer free arts and leadership programs year-round. 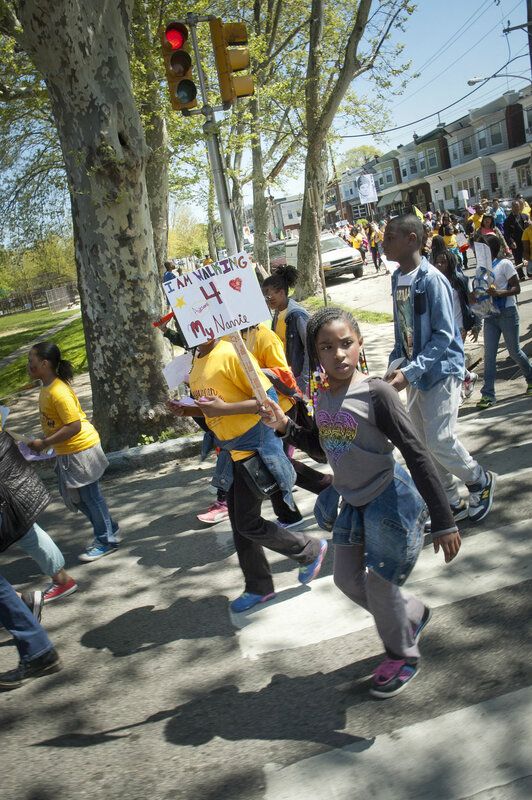 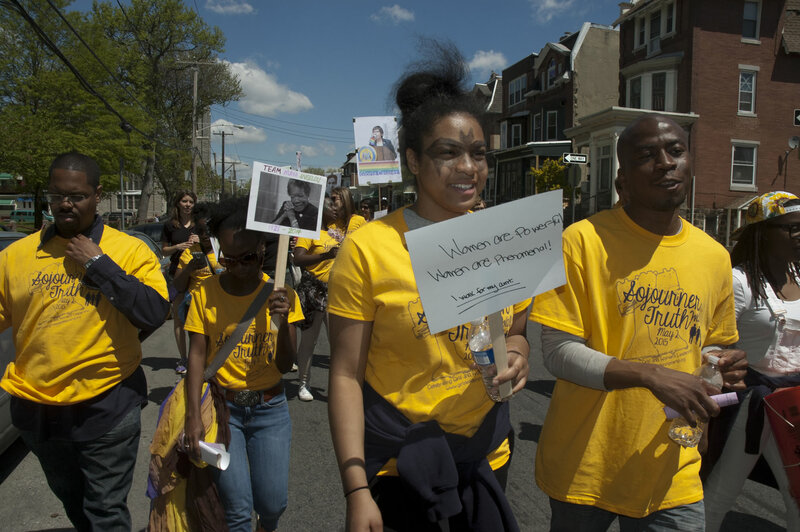 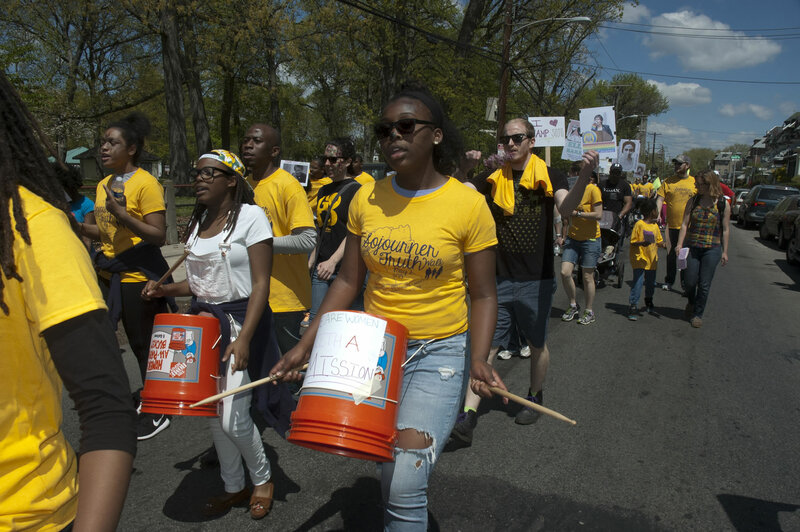 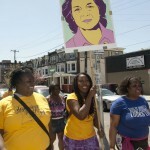 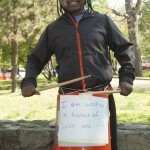 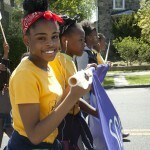 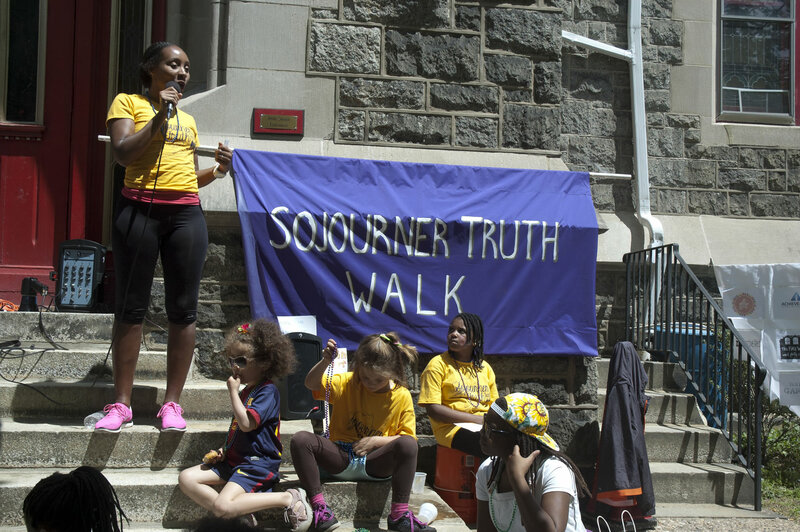 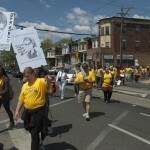 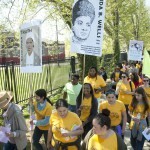 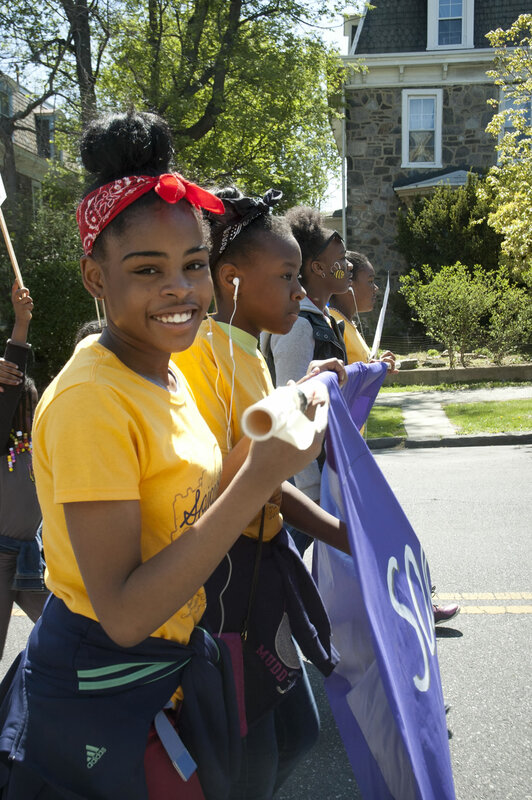 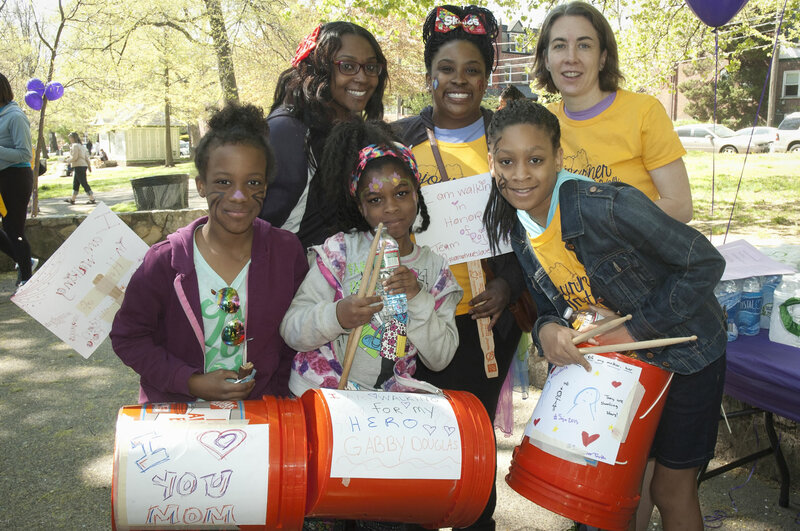 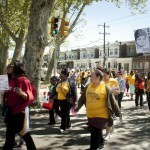 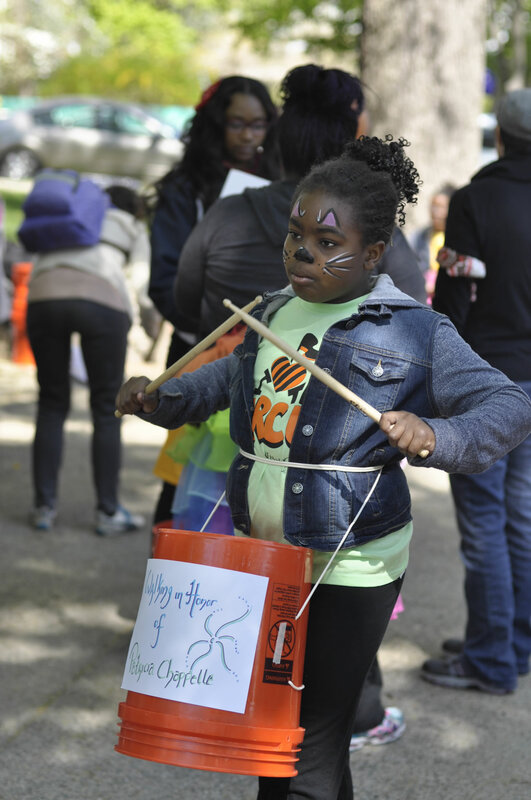 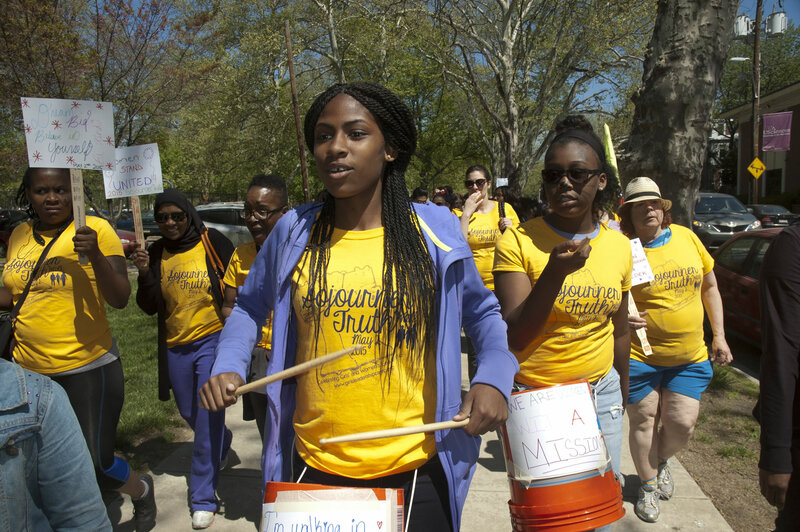 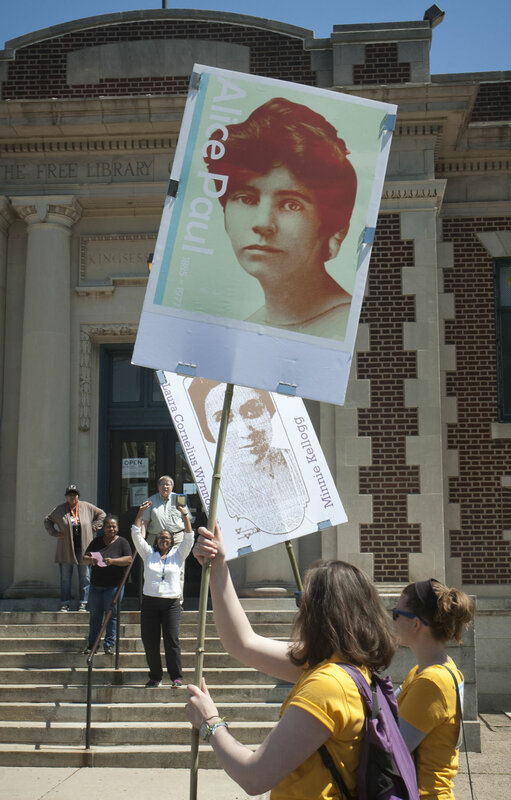 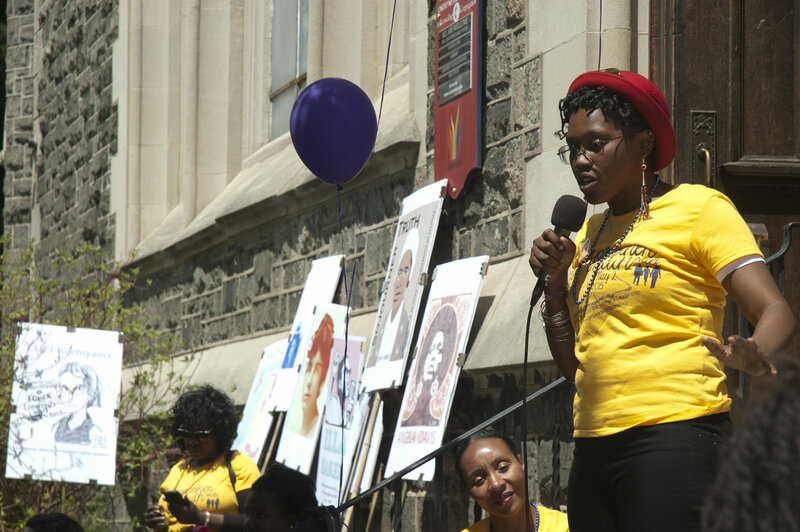 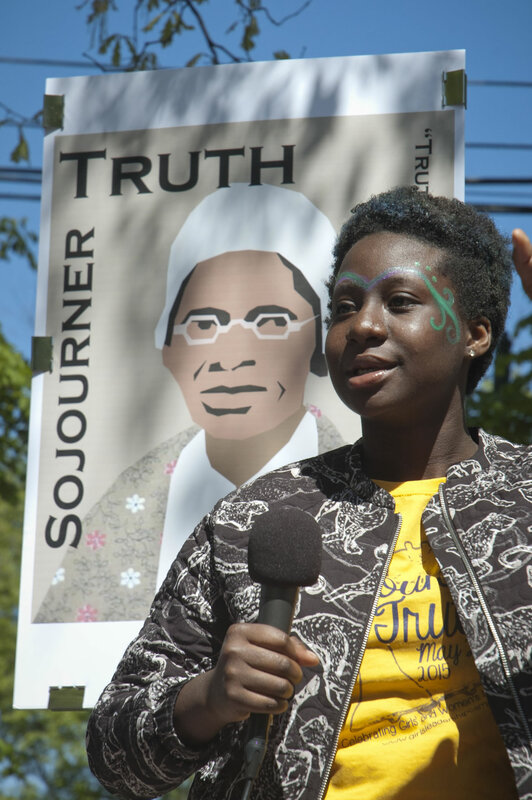 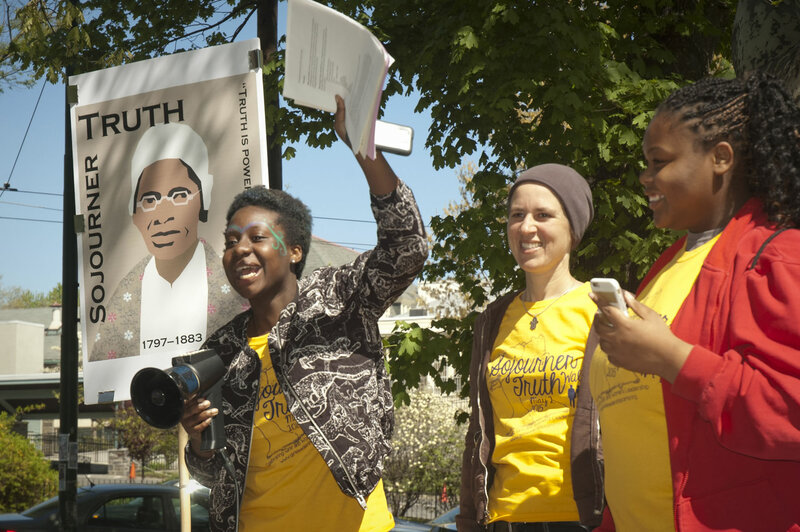 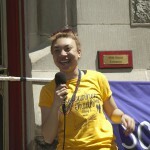 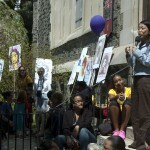 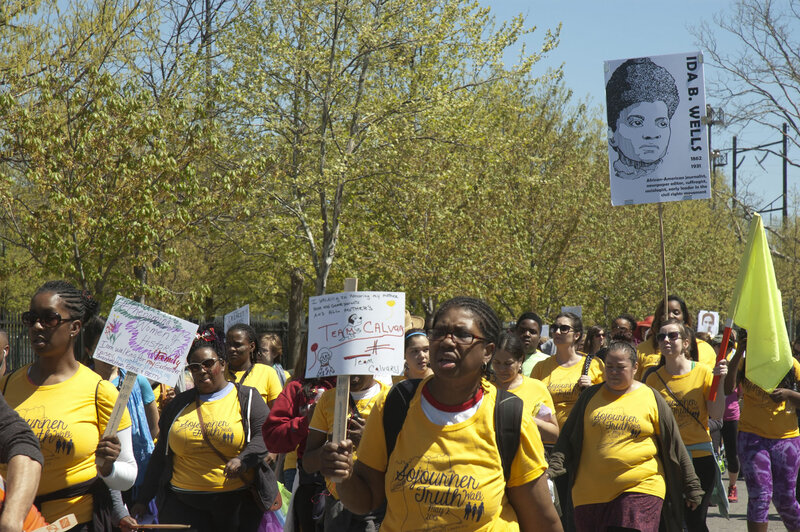 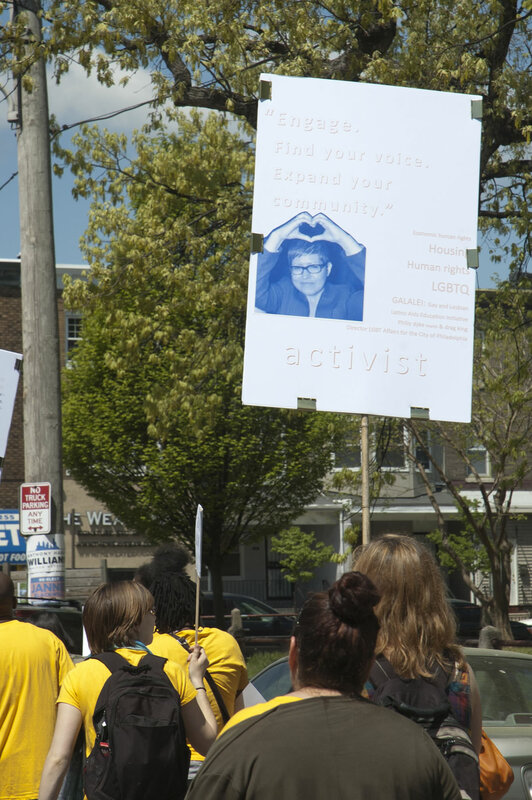 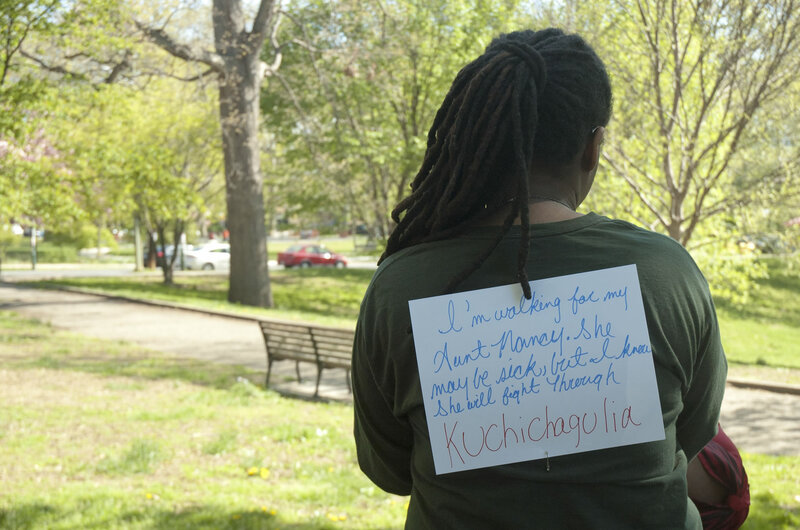 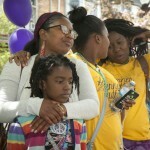 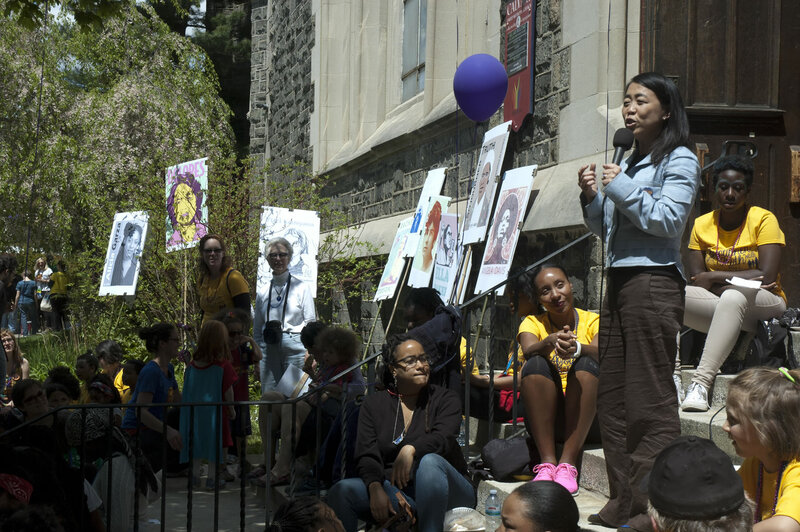 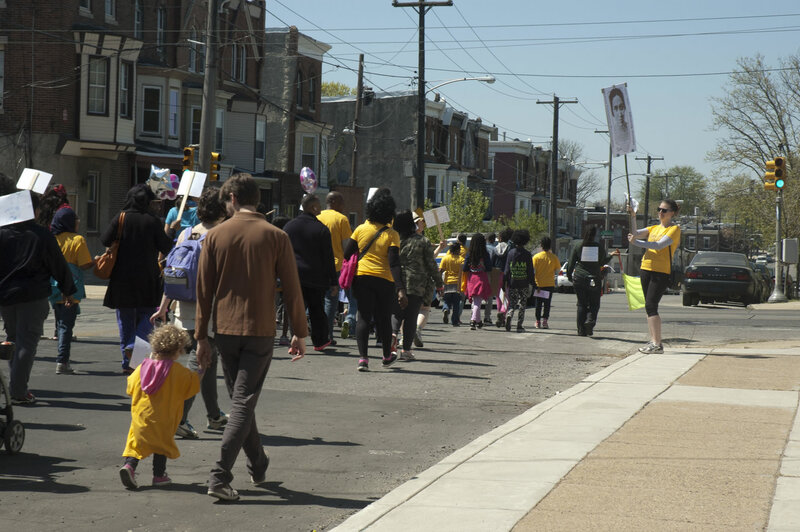 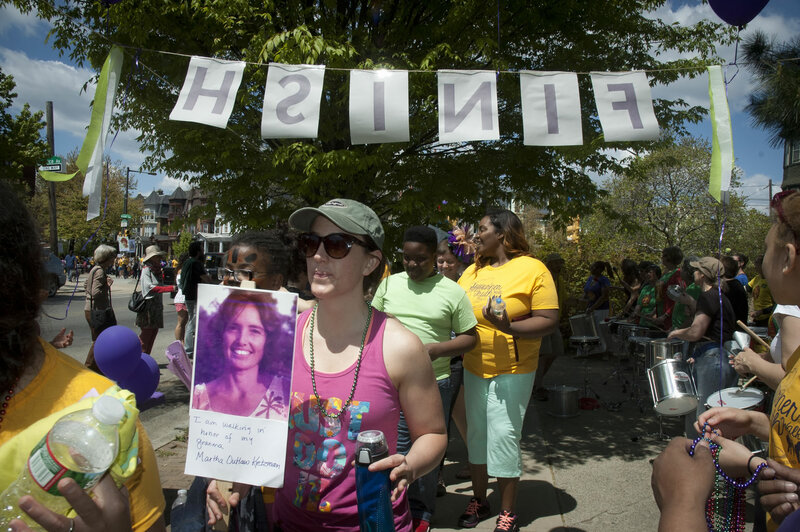 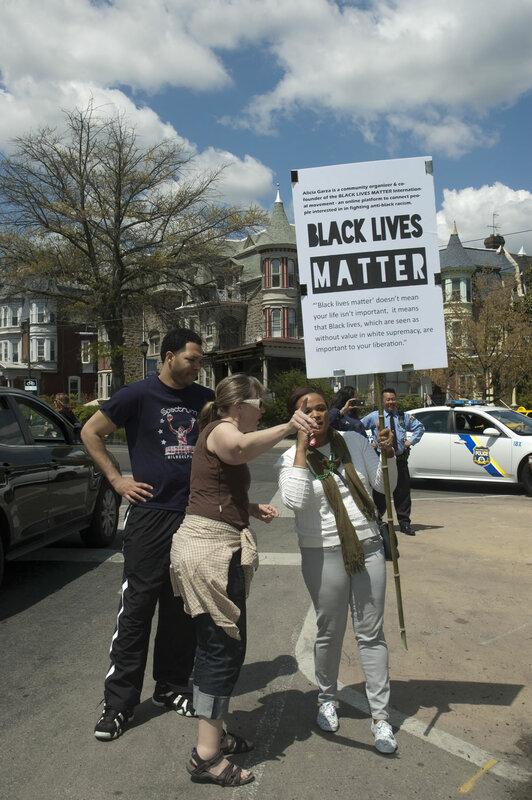 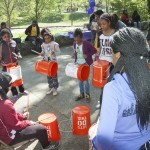 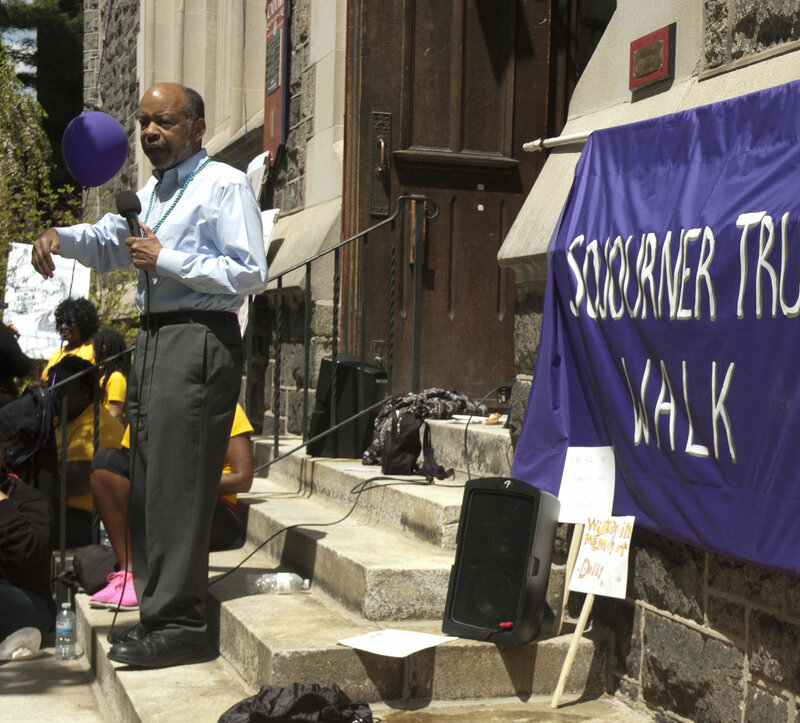 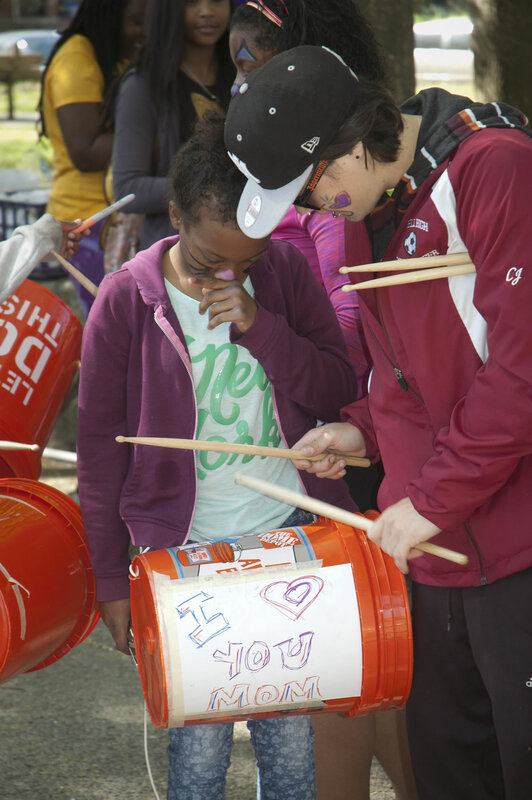 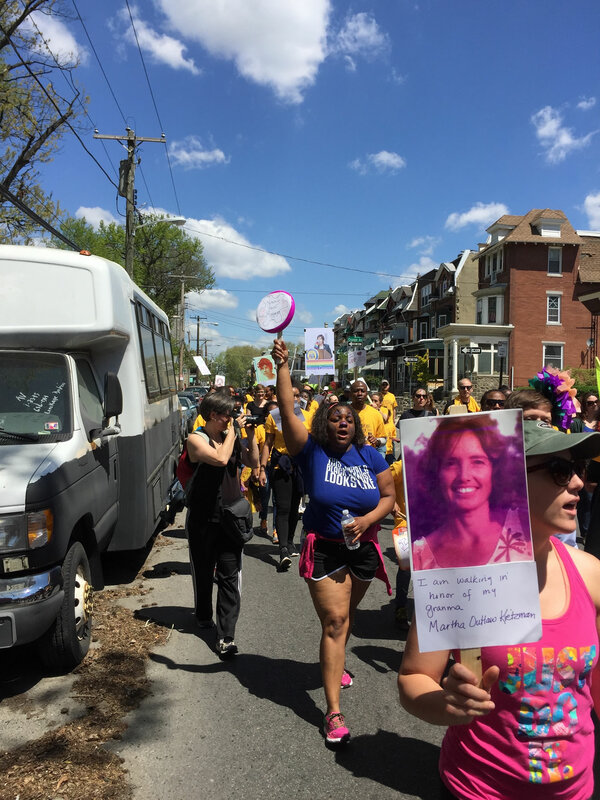 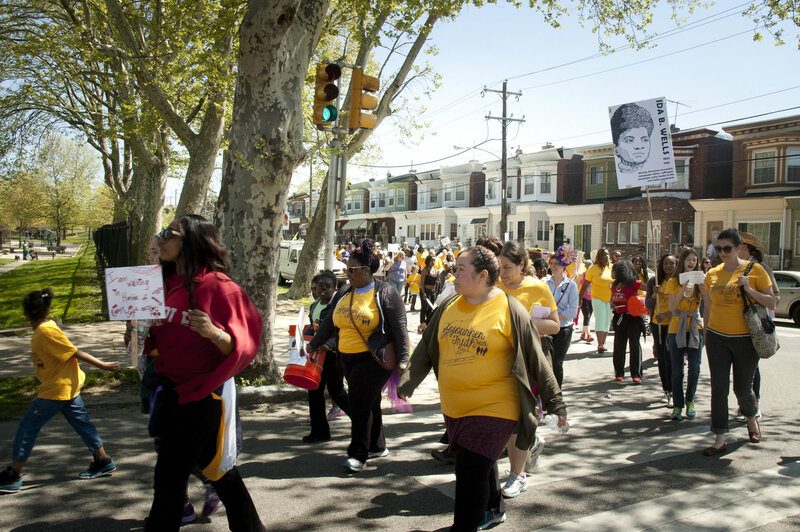 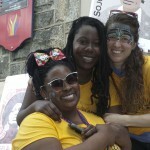 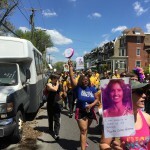 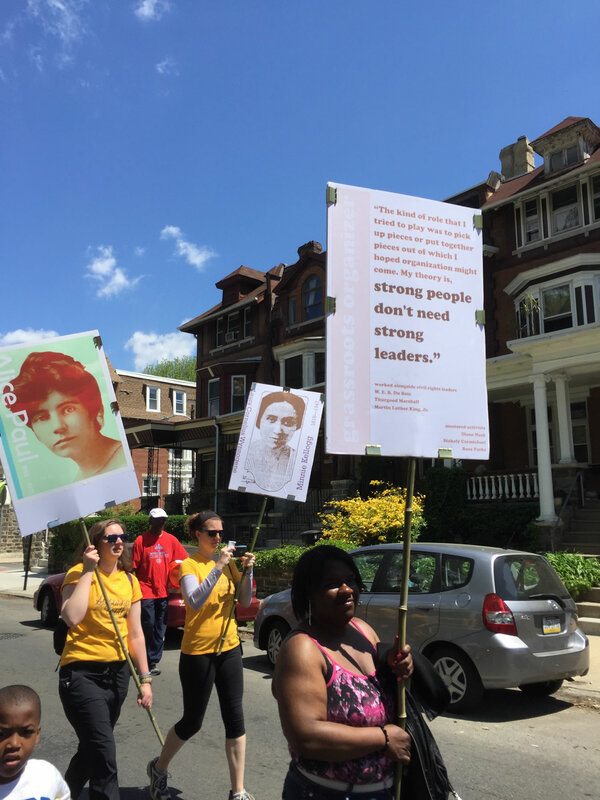 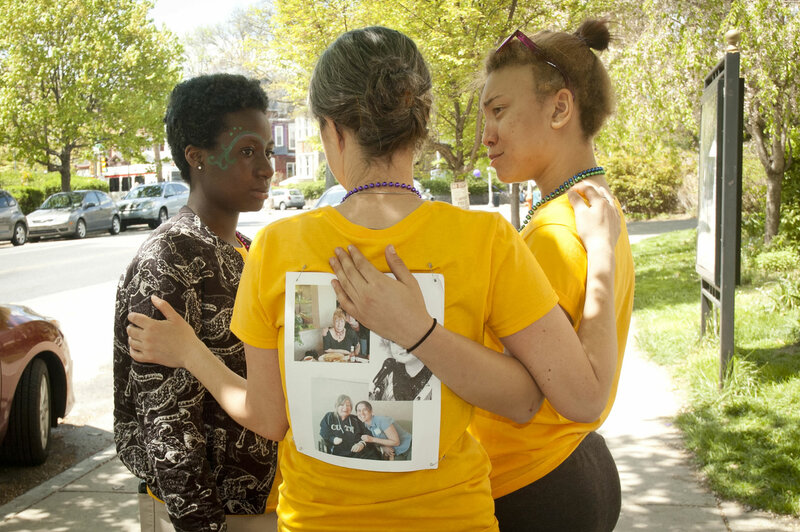 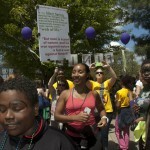 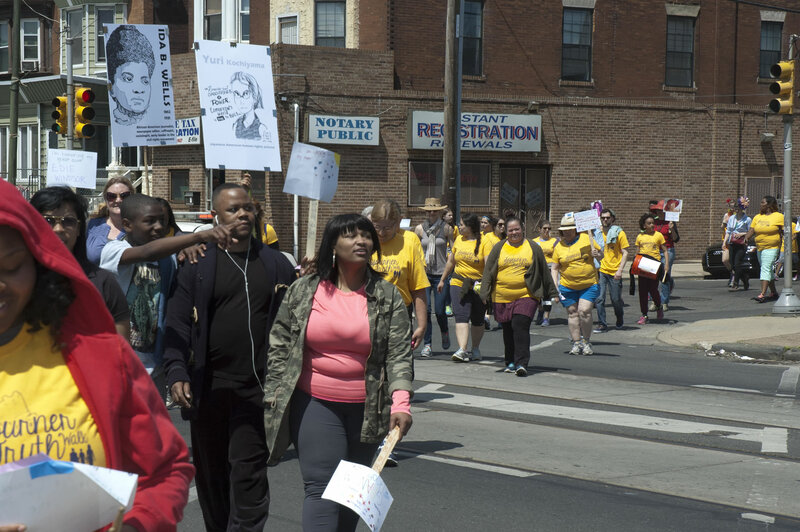 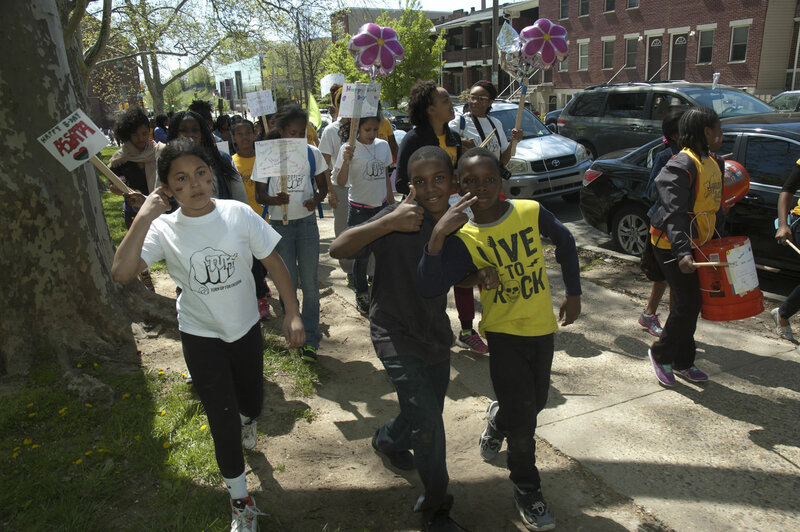 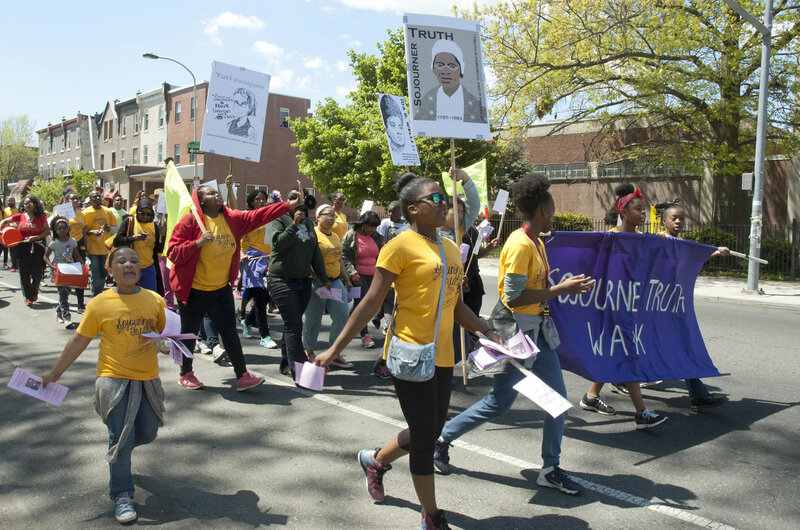 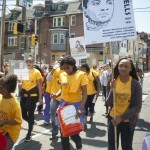 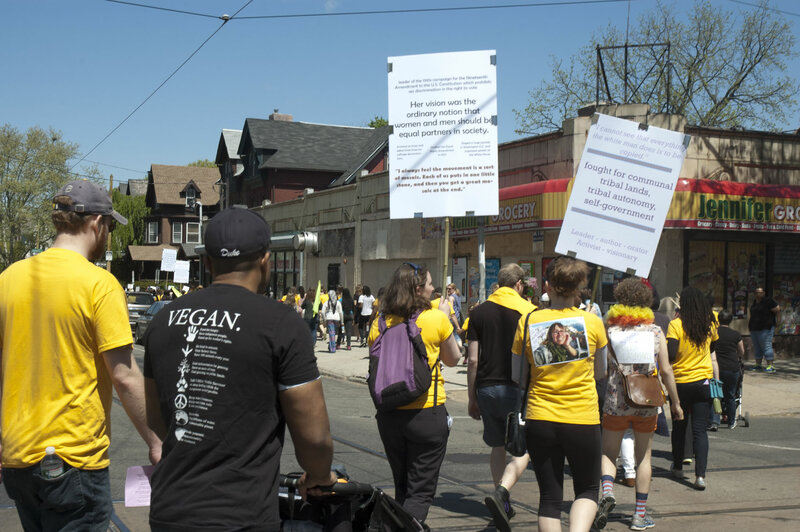 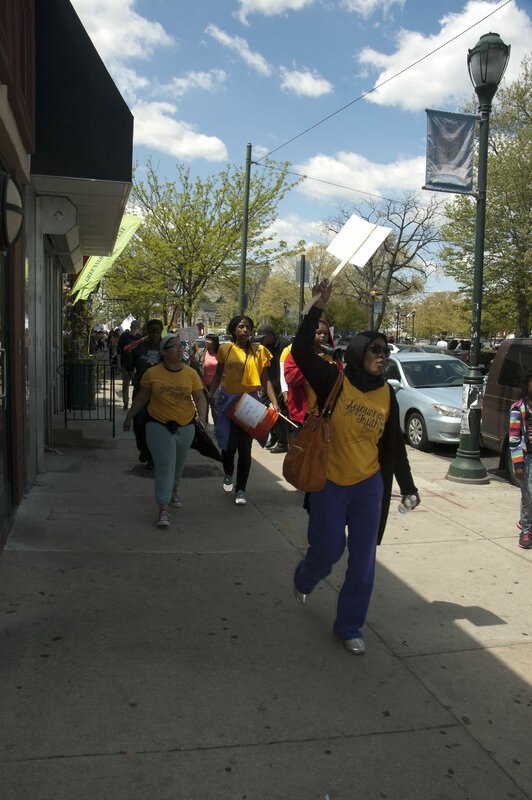 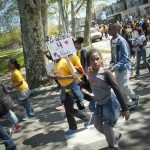 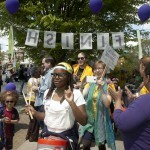 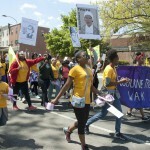 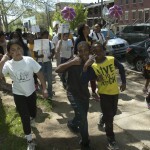 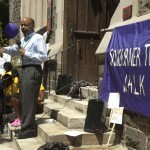 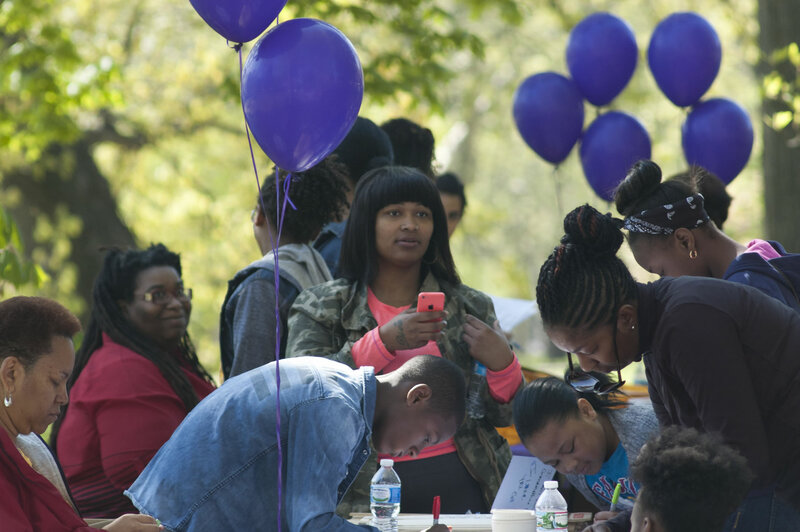 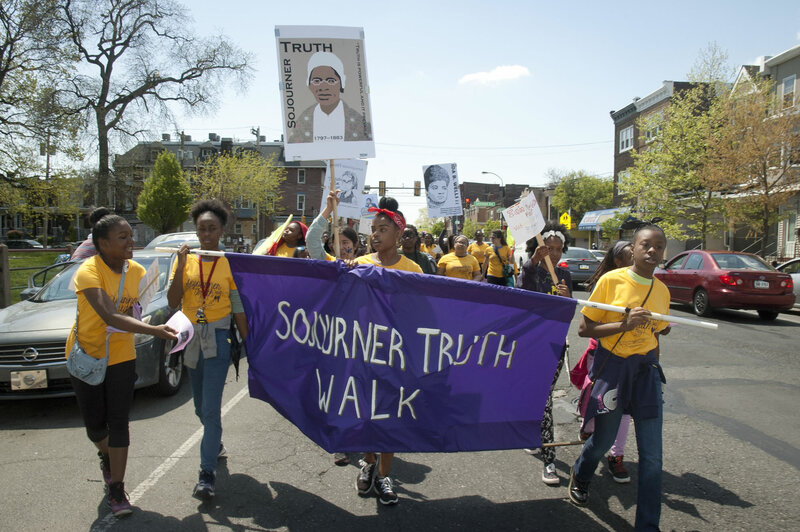 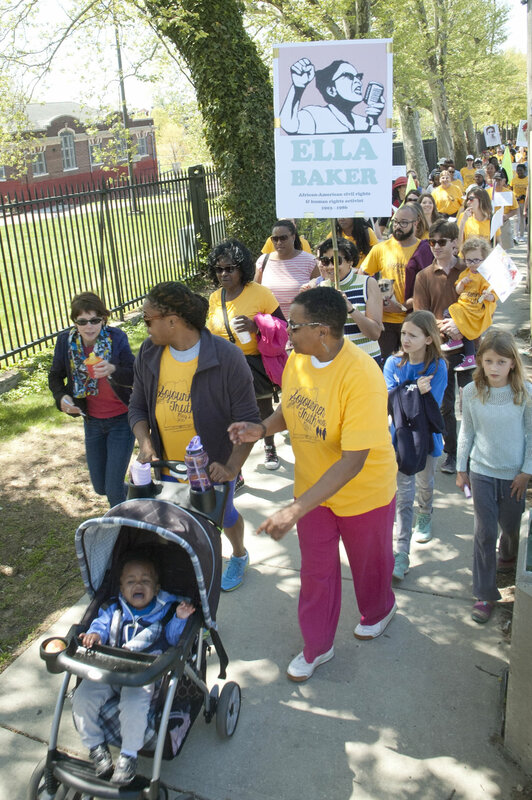 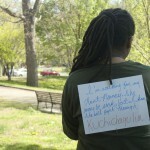 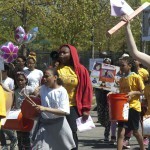 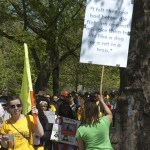 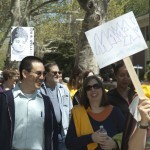 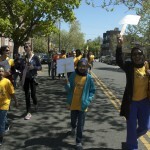 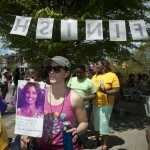 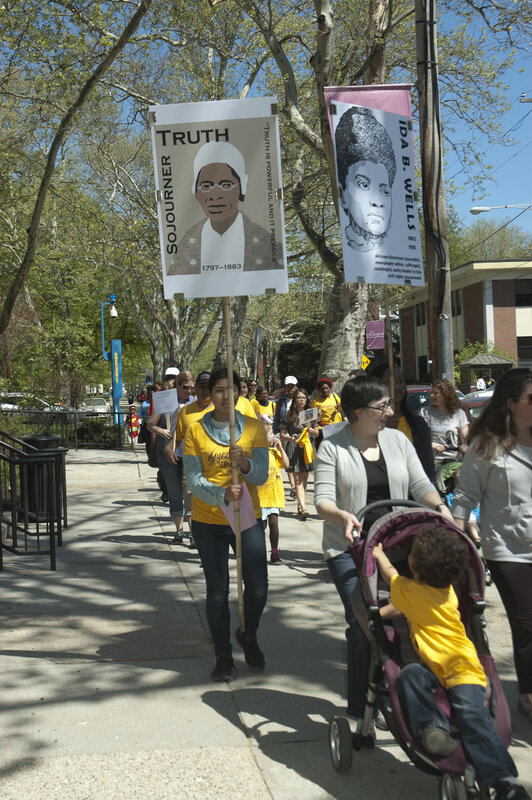 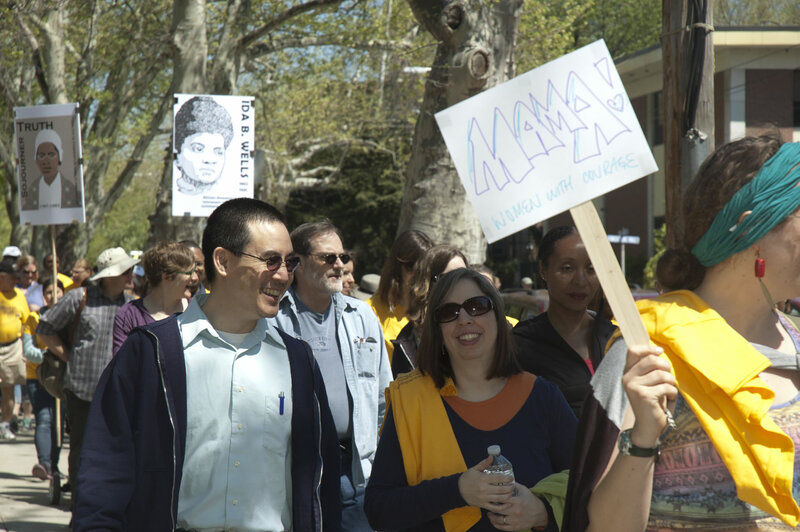 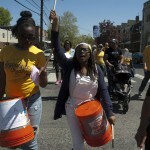 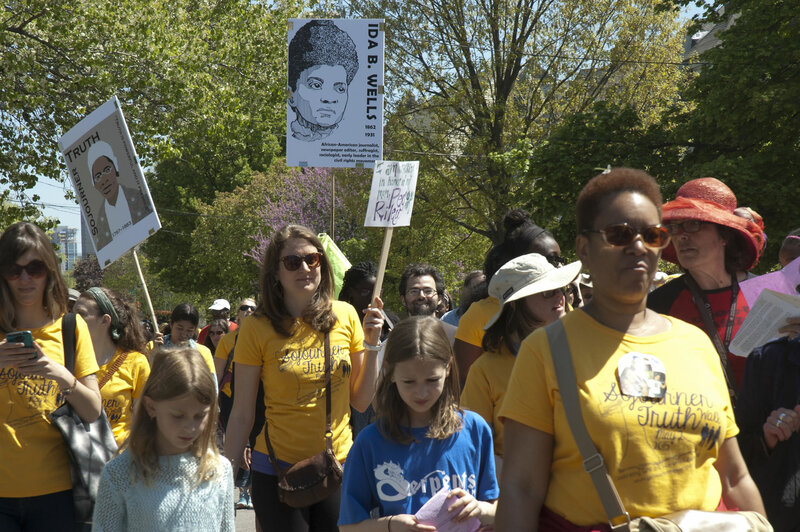 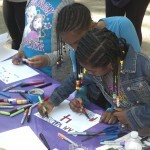 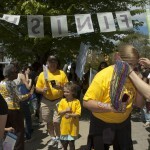 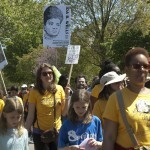 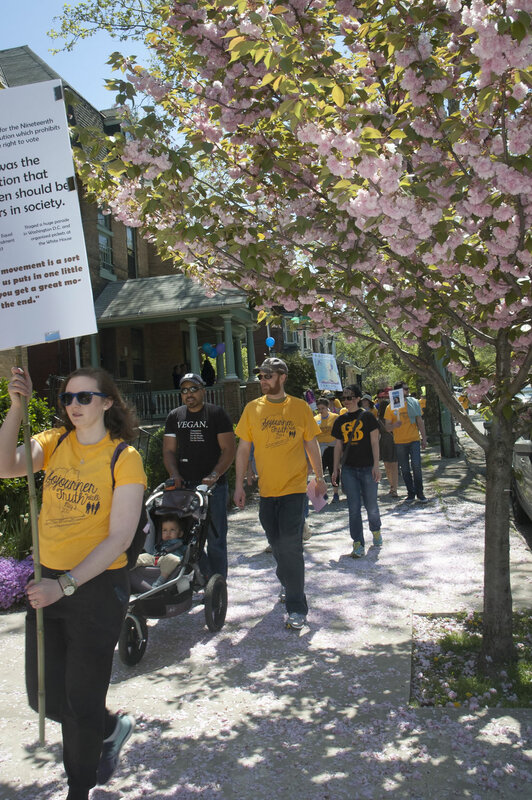 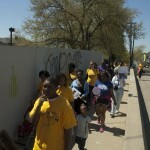 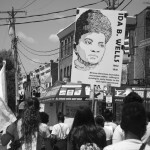 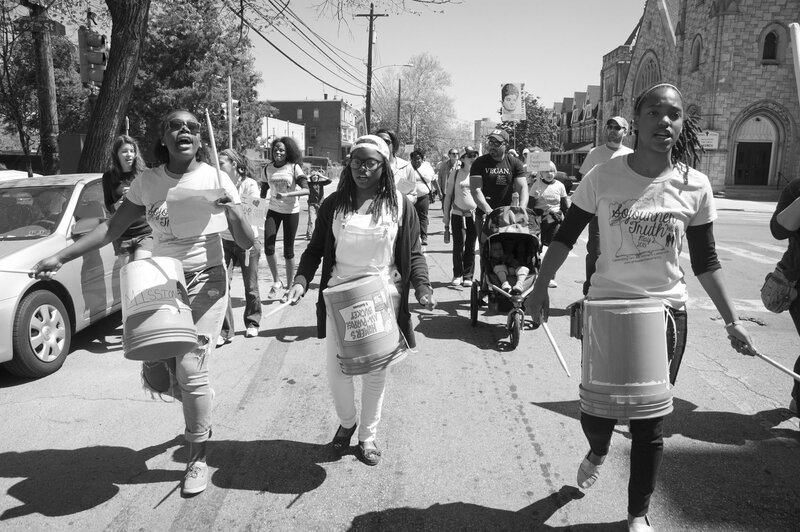 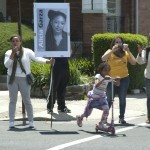 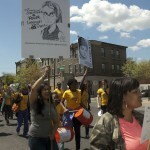 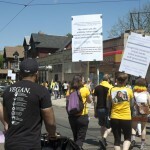 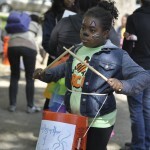 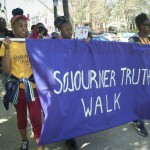 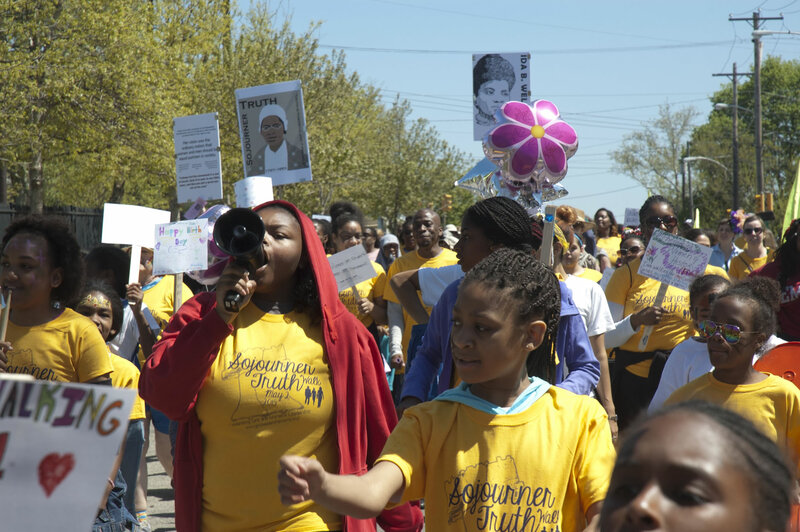 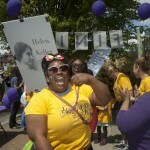 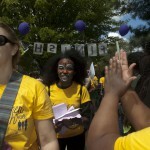 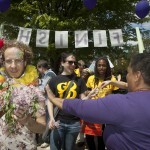 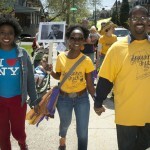 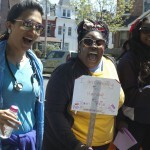 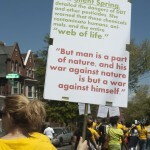 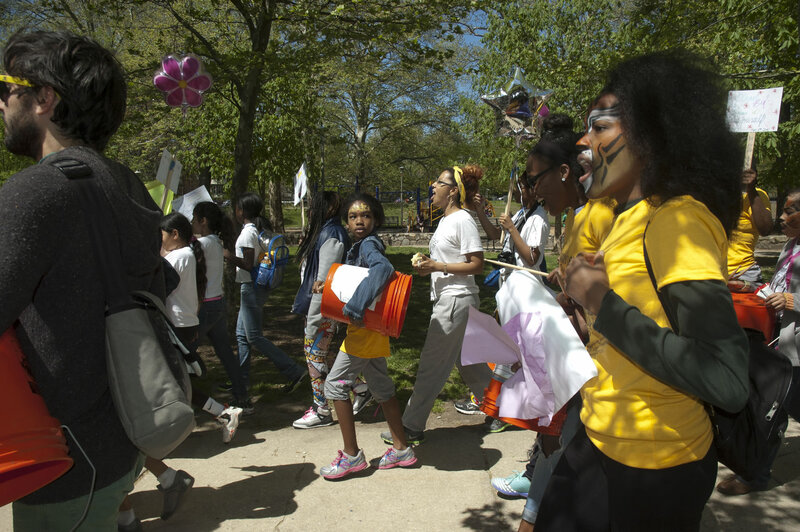 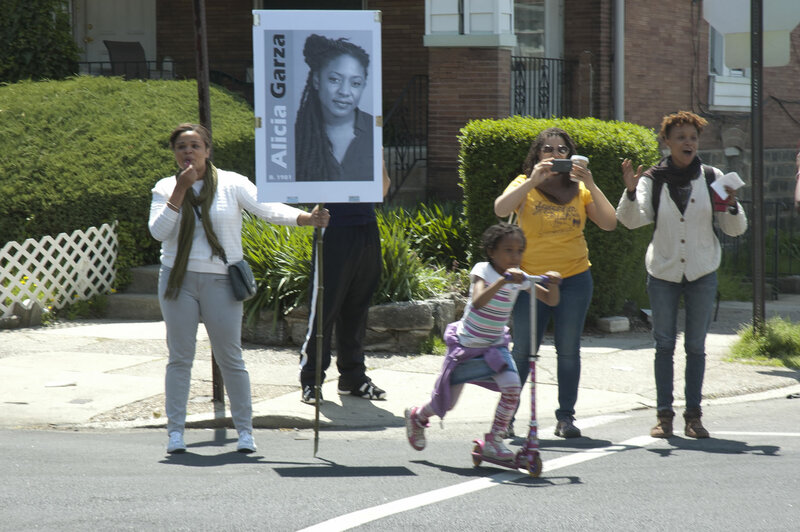 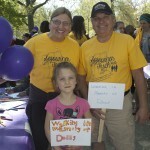 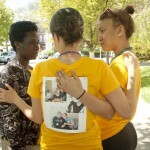 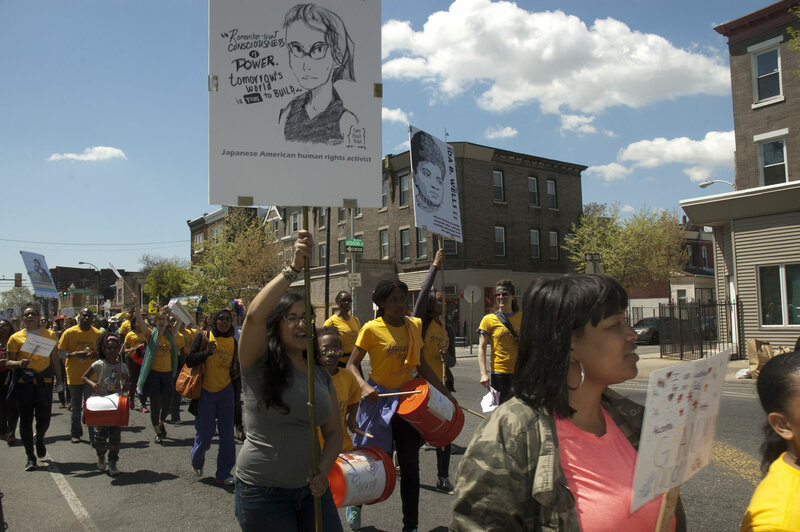 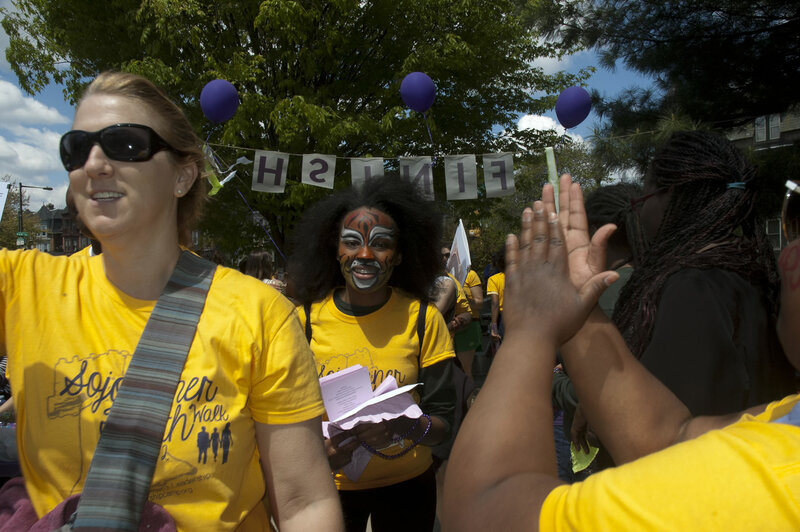 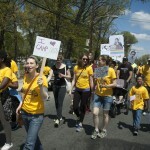 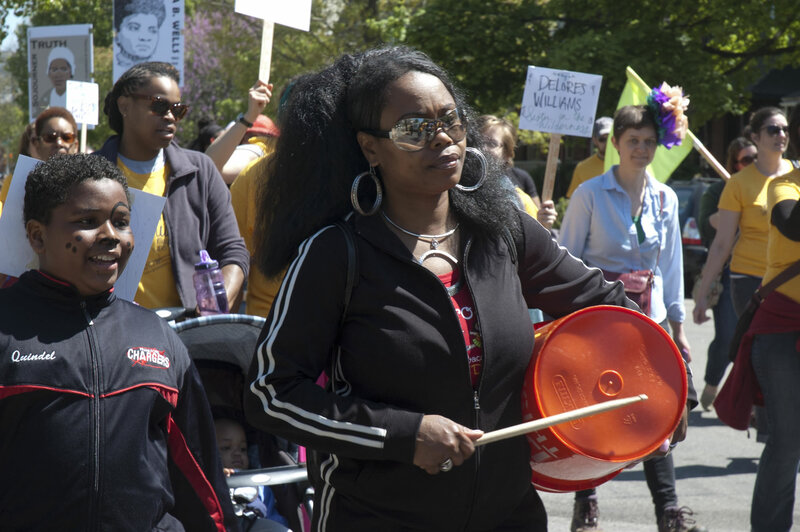 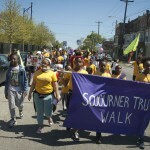 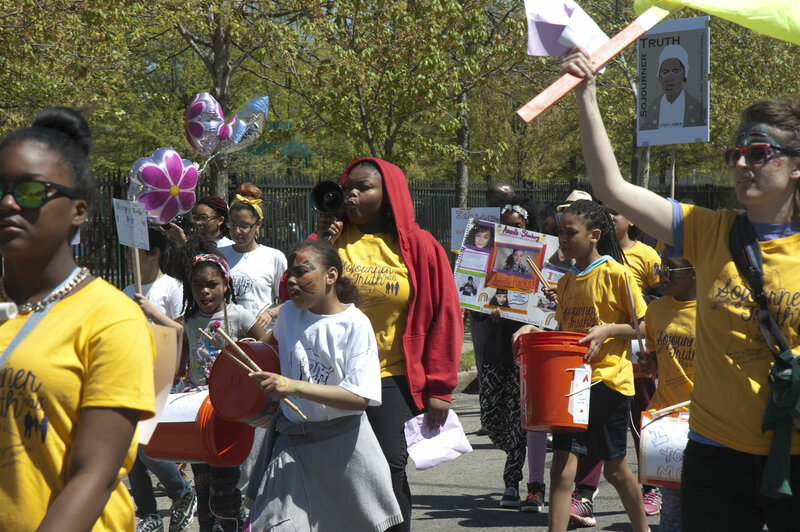 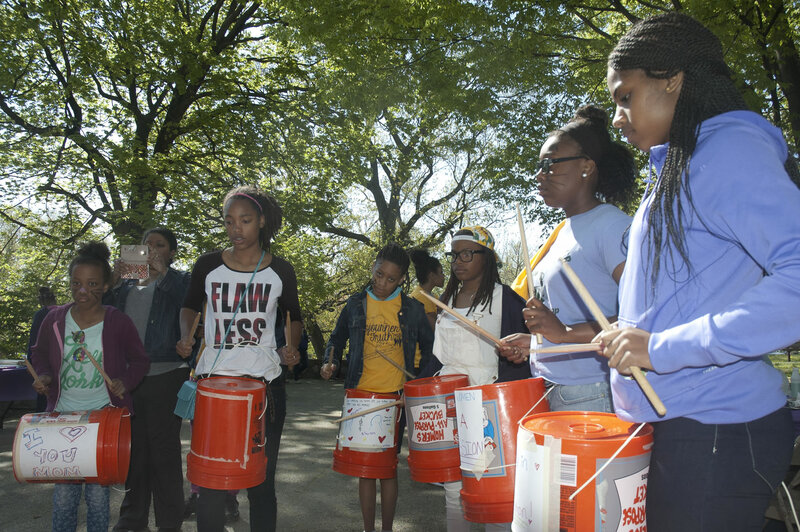 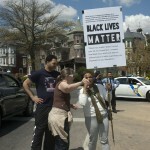 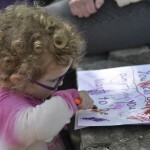 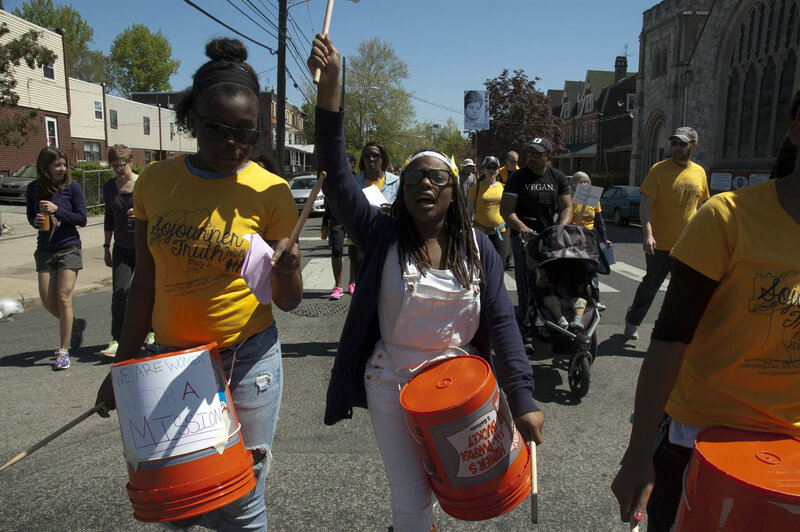 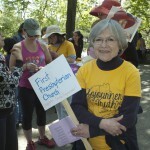 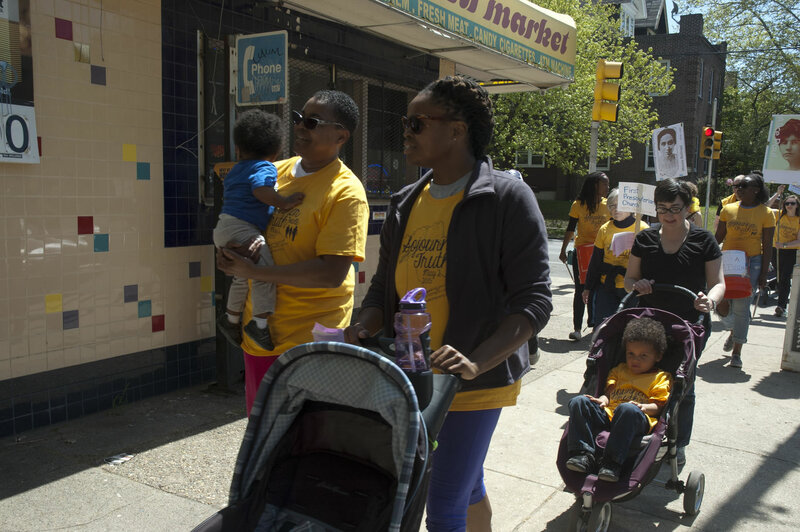 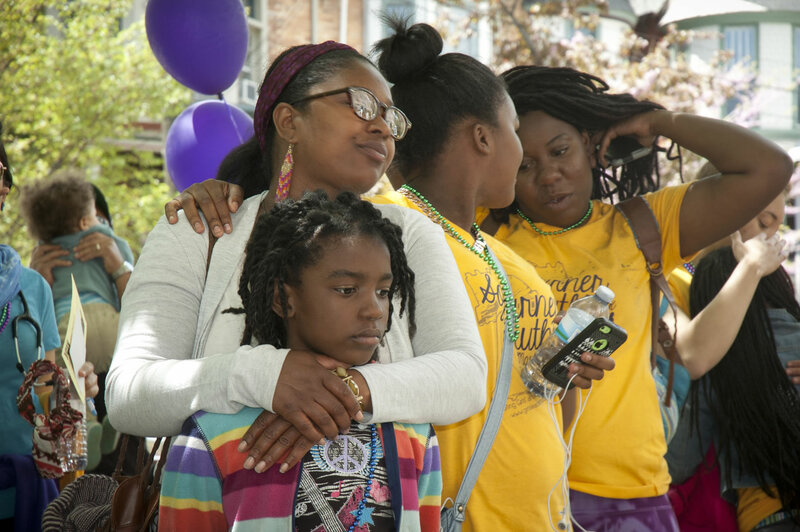 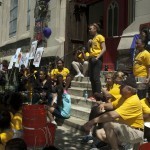 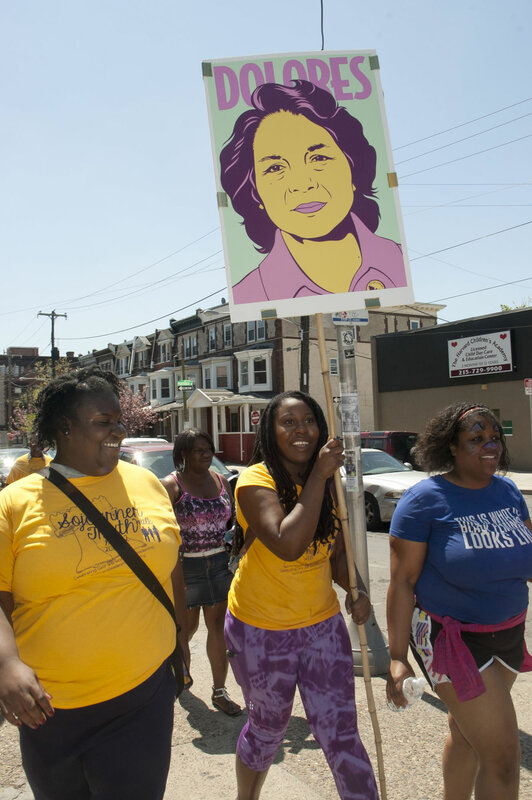 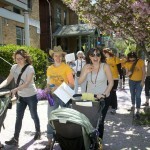 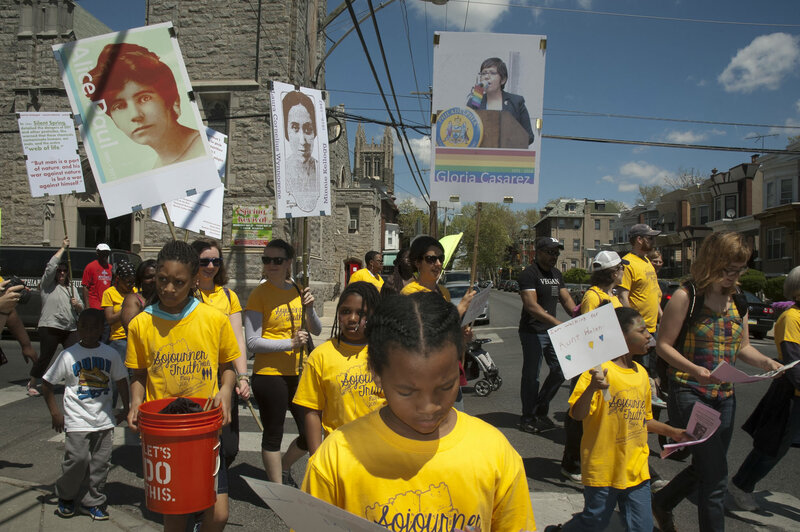 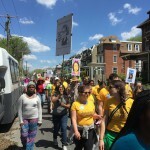 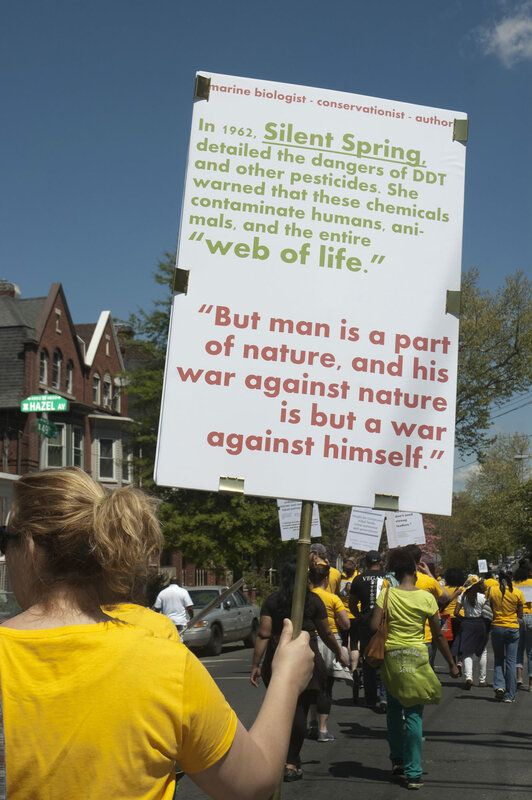 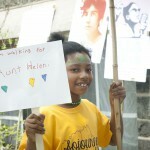 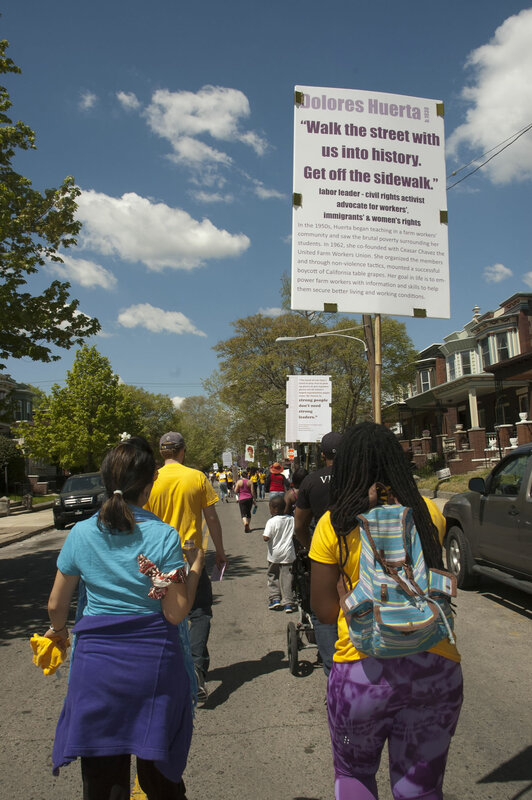 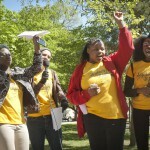 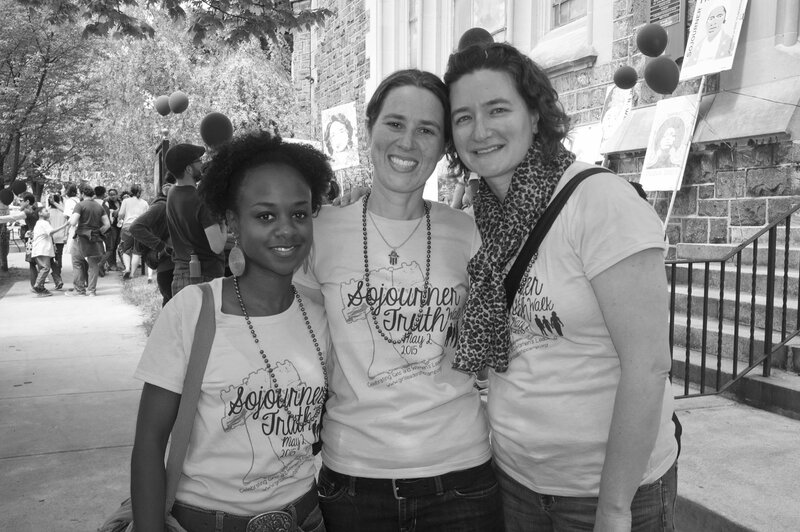 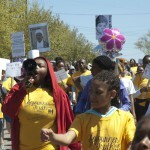 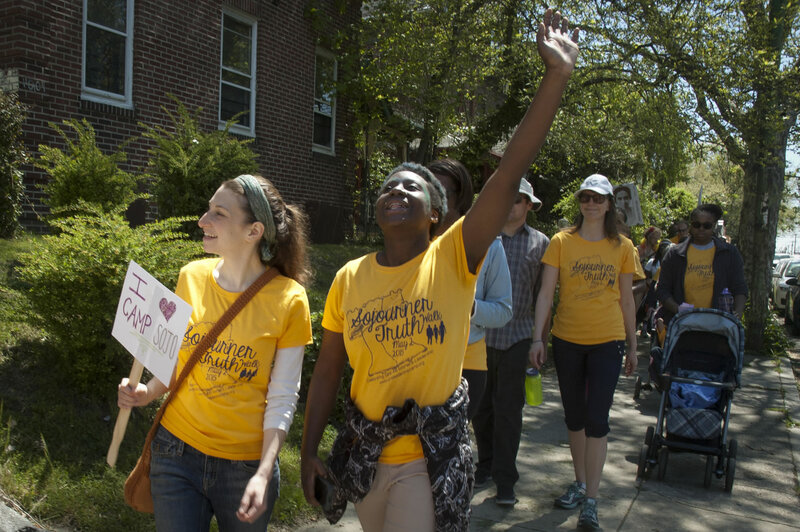 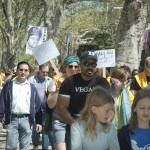 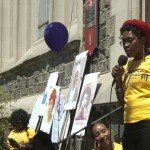 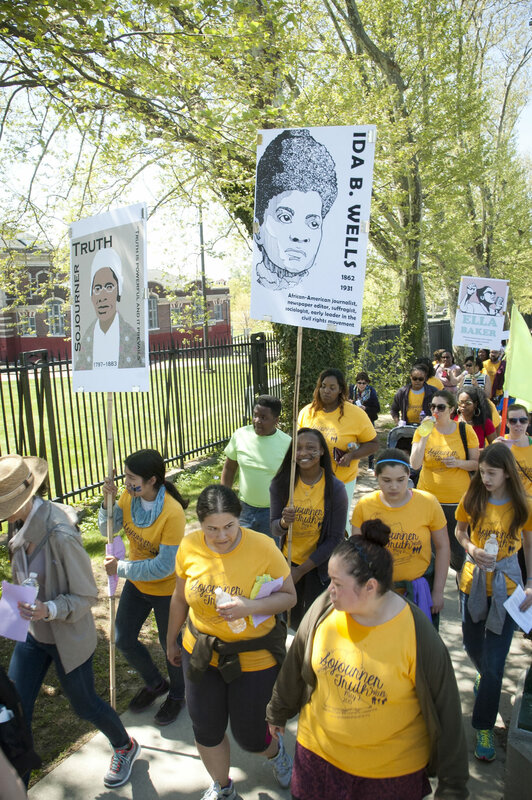 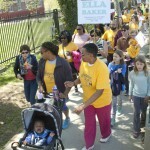 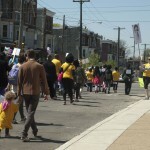 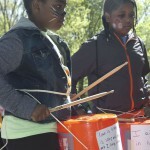 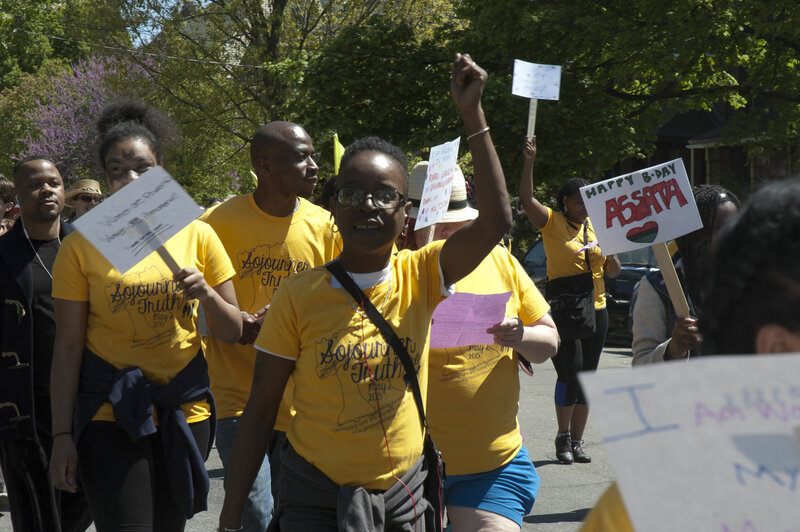 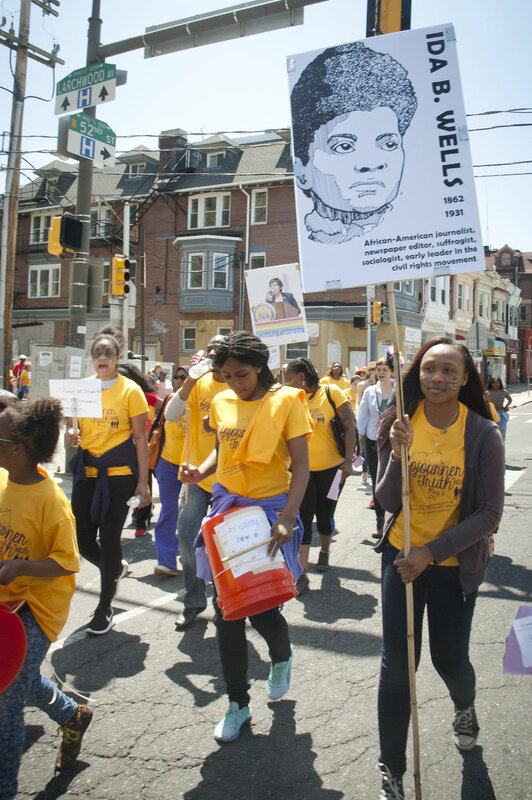 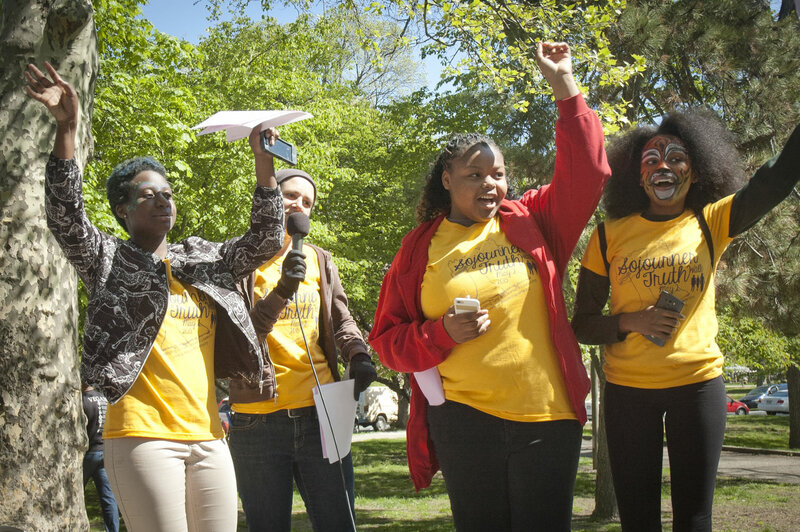 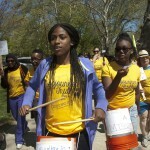 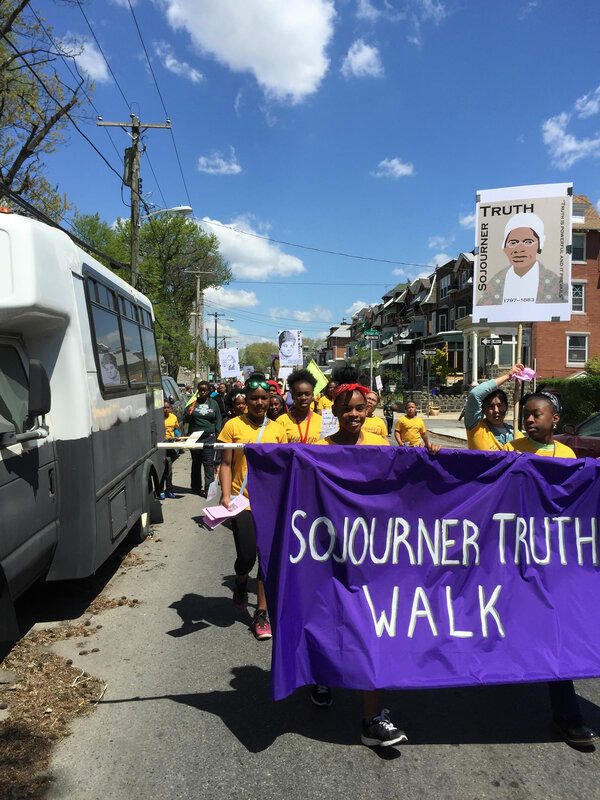 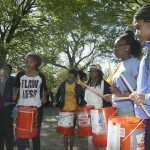 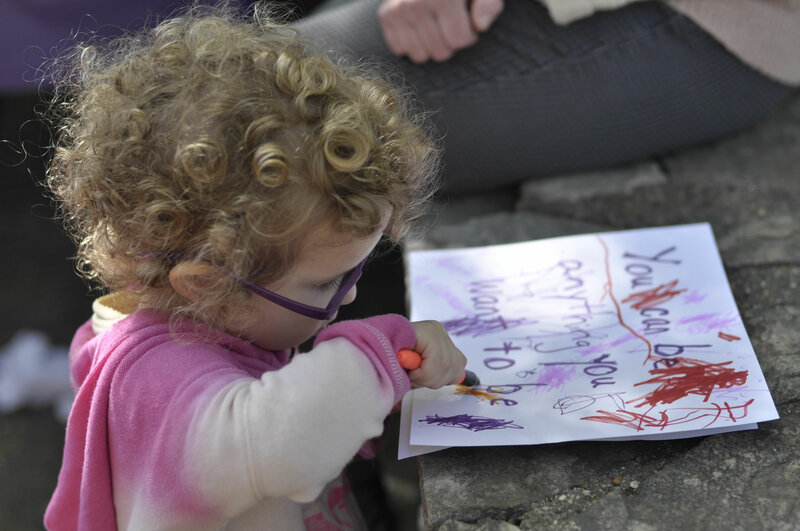 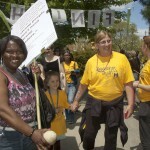 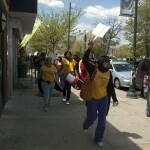 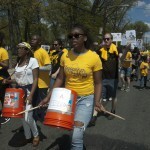 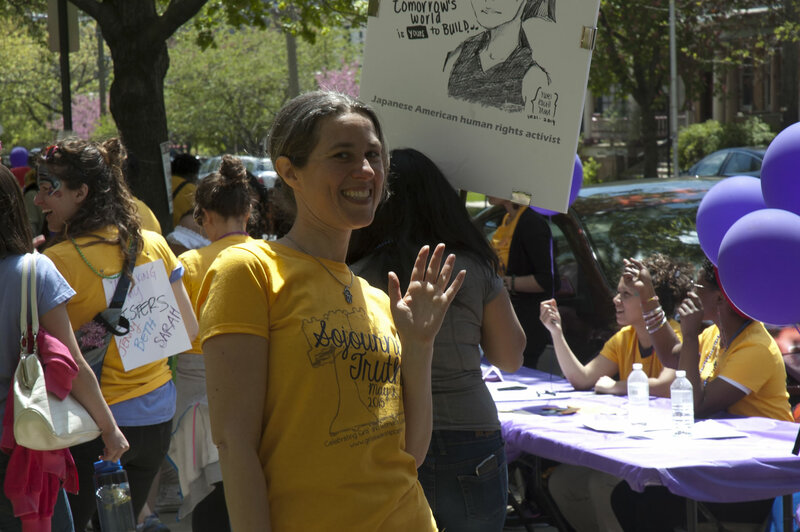 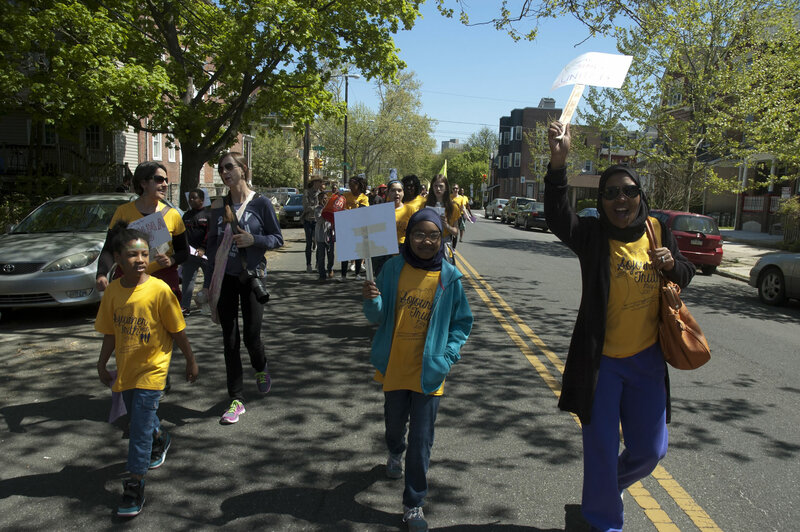 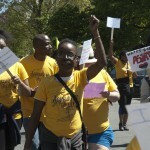 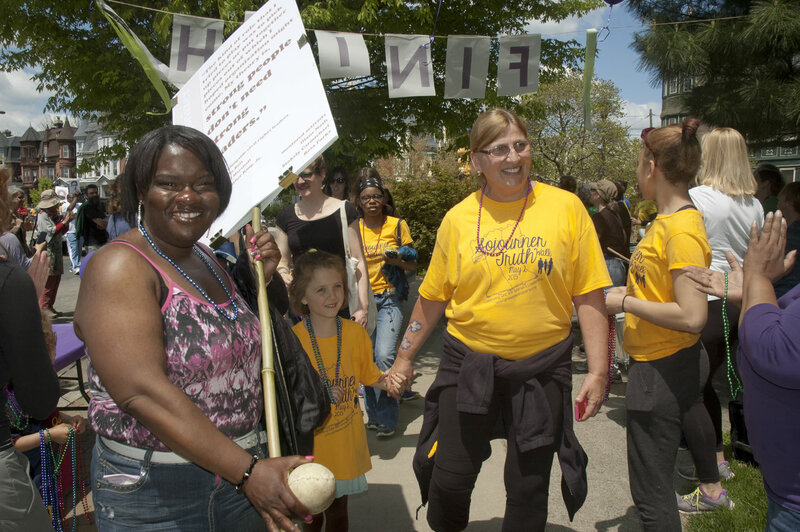 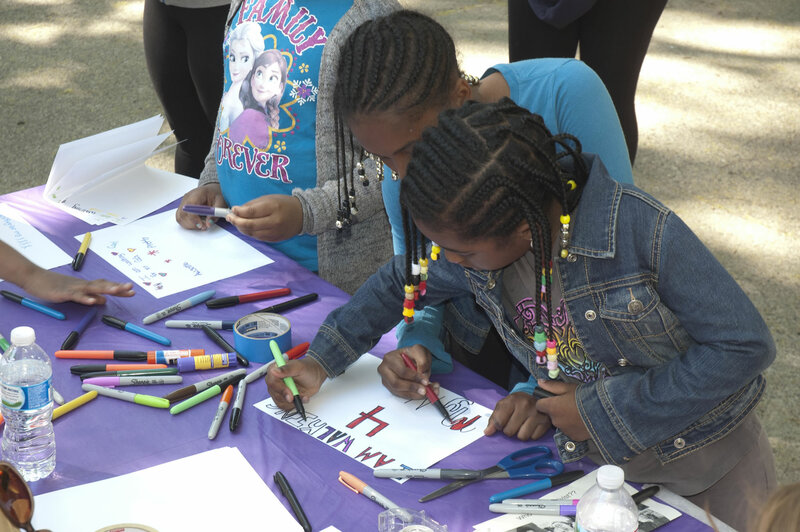 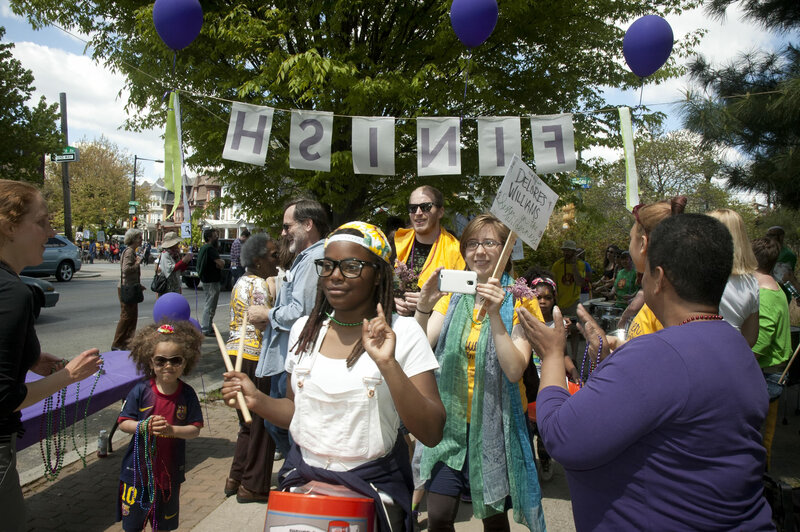 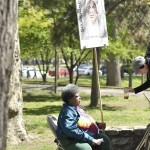 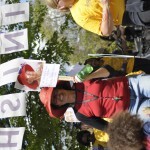 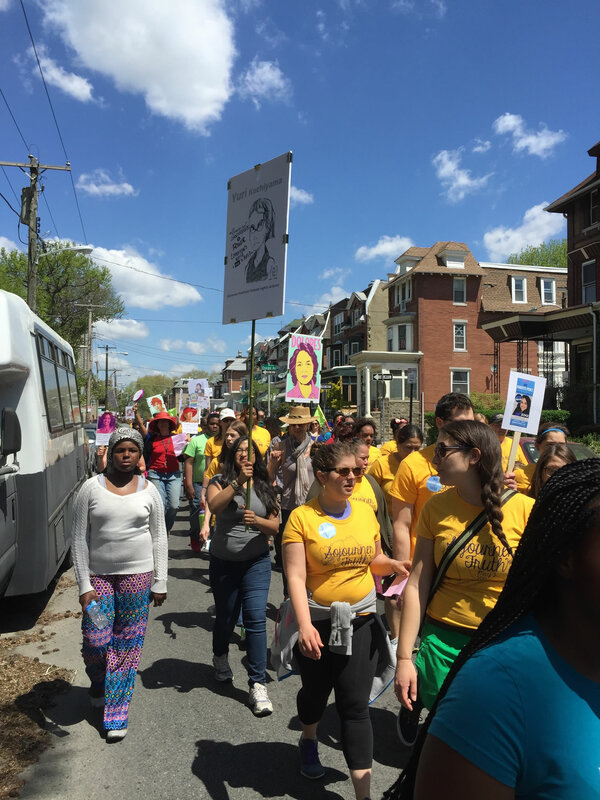 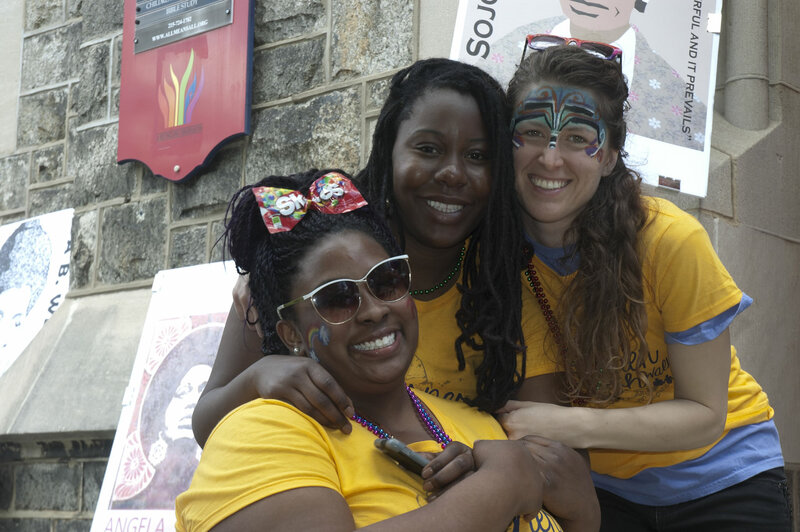 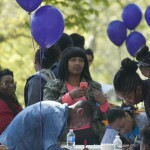 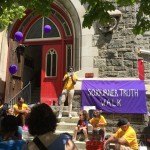 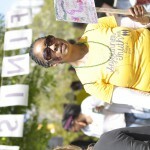 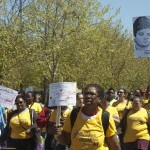 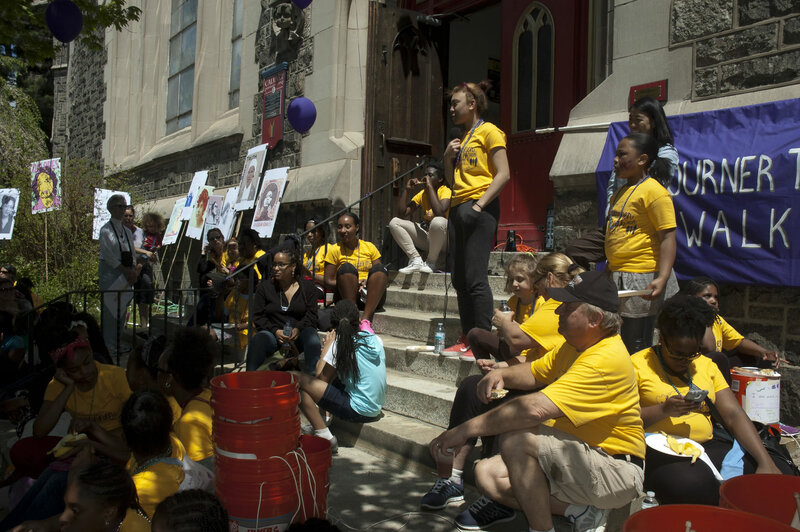 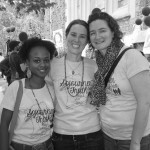 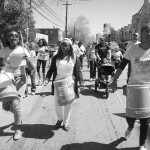 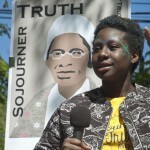 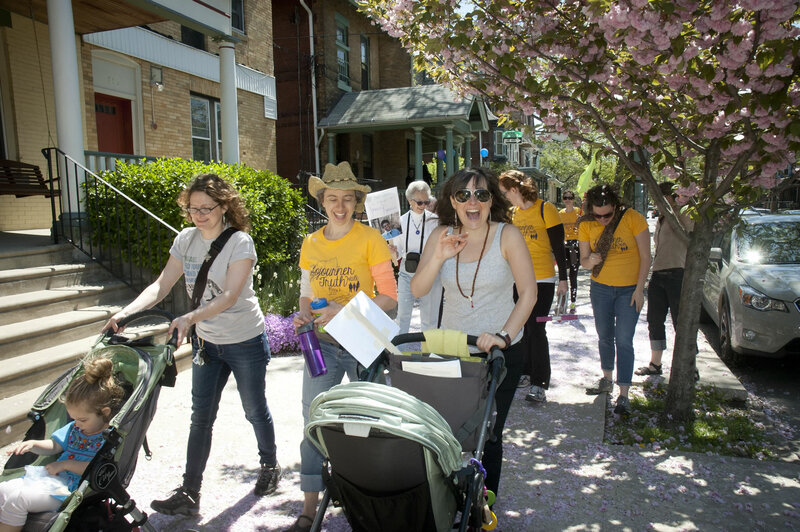 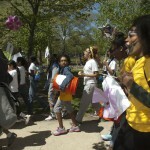 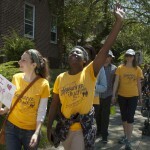 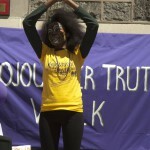 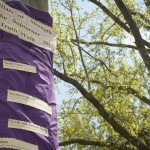 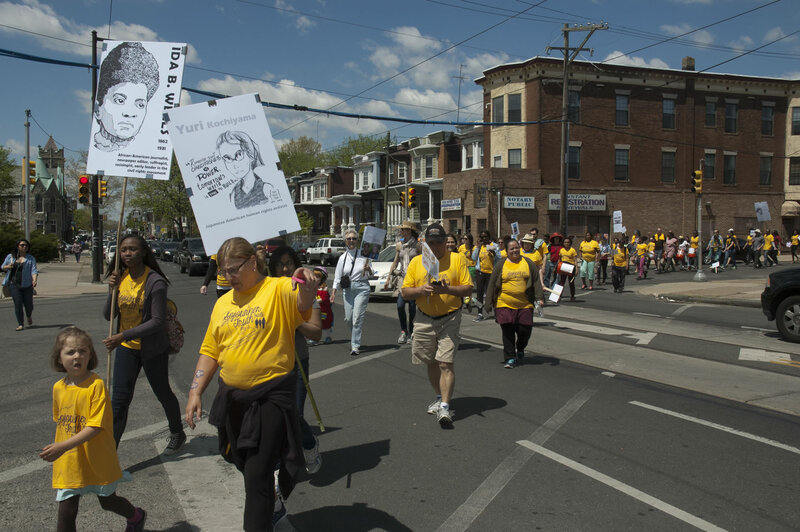 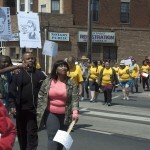 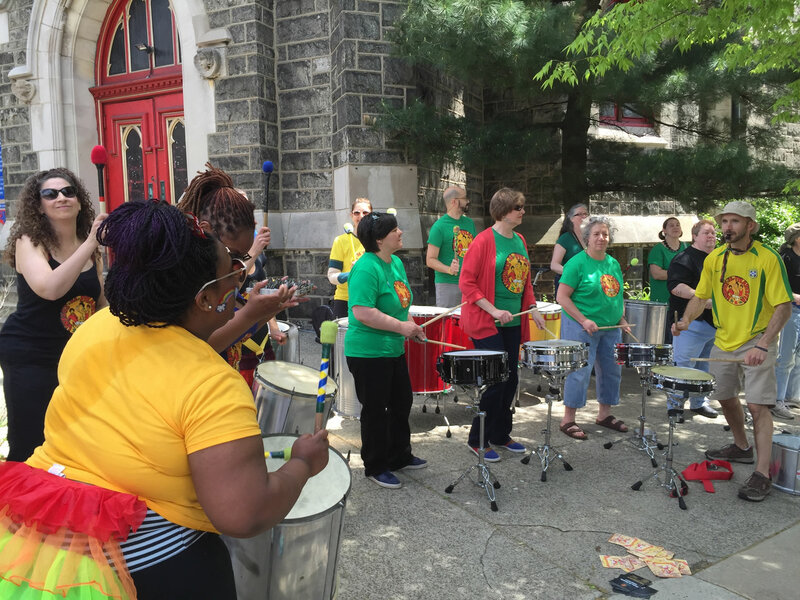 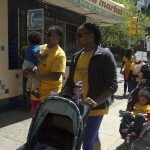 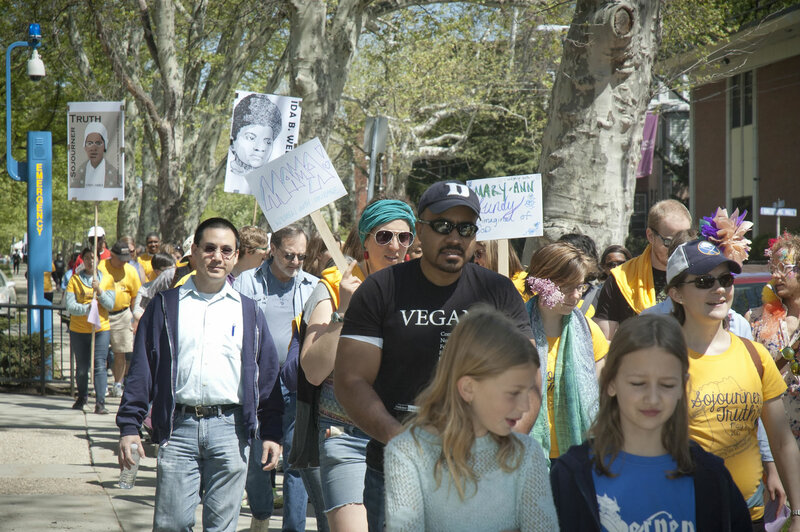 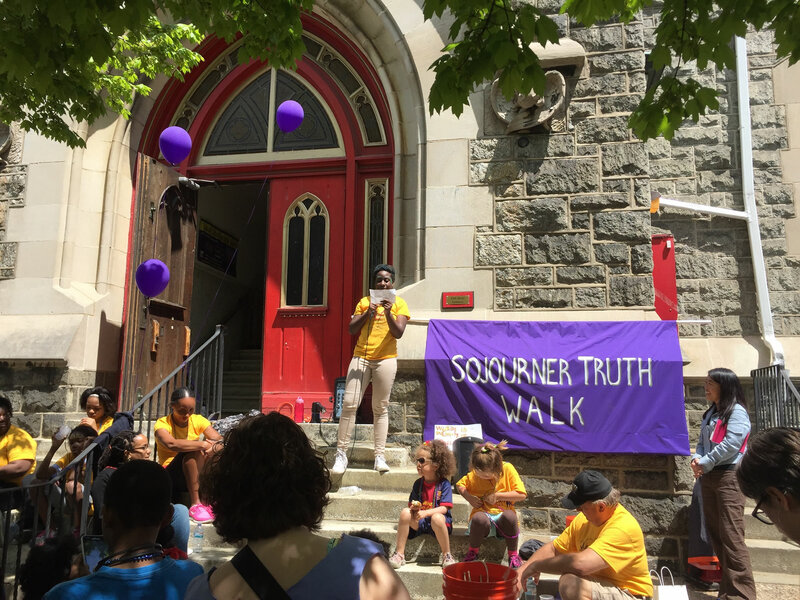 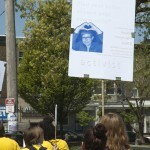 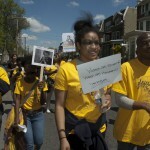 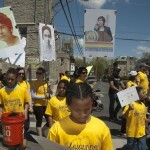 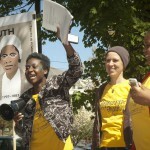 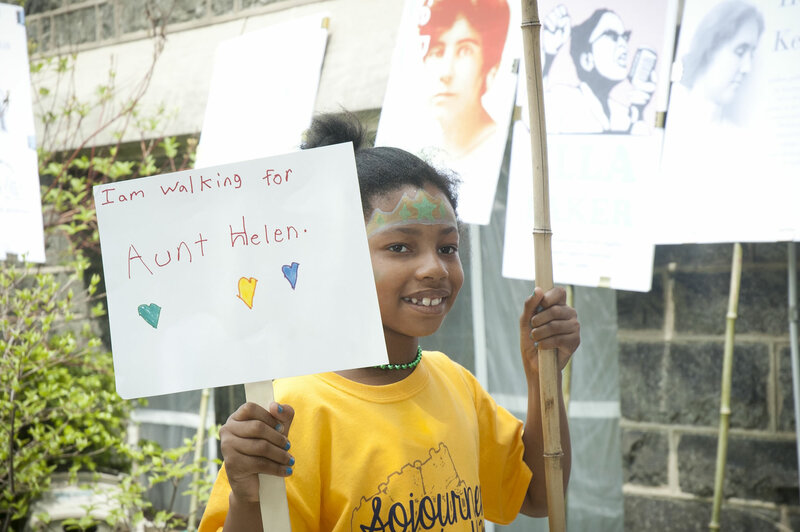 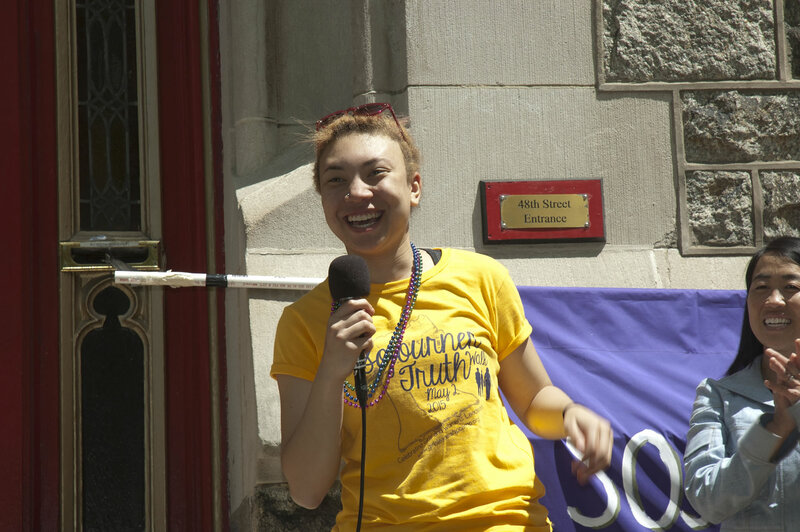 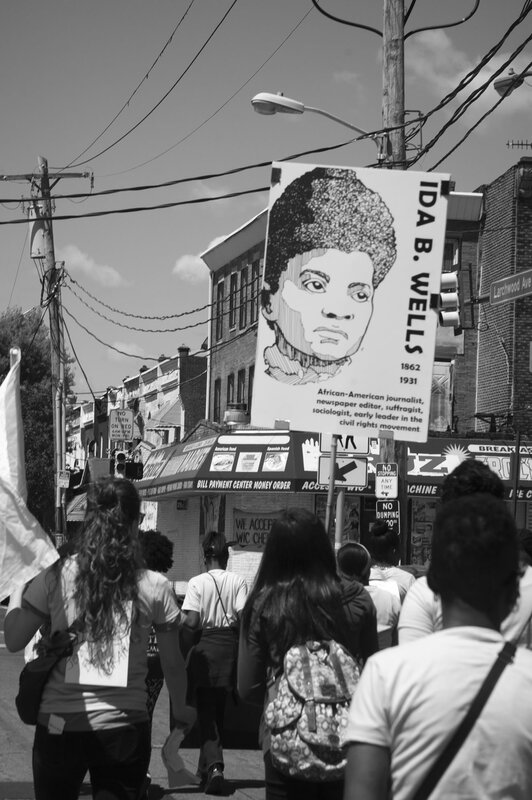 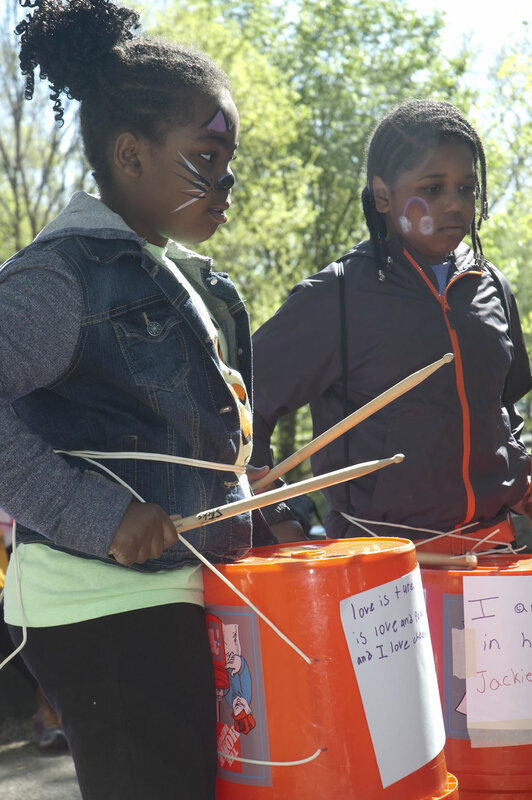 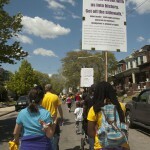 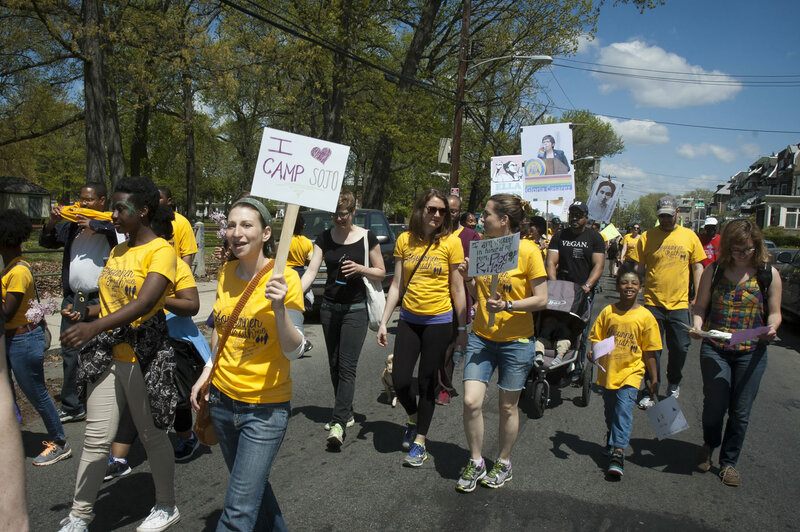 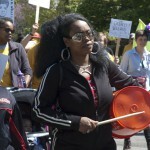 More than 170 people walked together in the streets and spreading positive images of girls’ and women’s leadership throughout West Philadelphia, highlighting social justice activists from Sojourner Truth to the present. 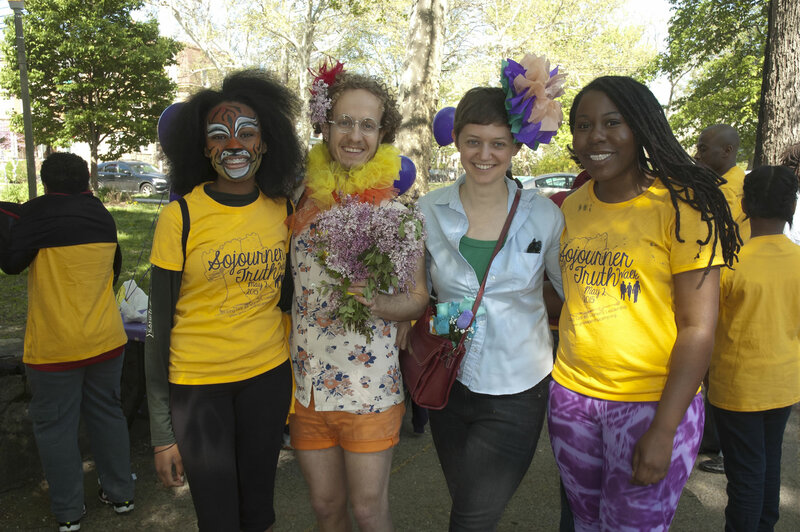 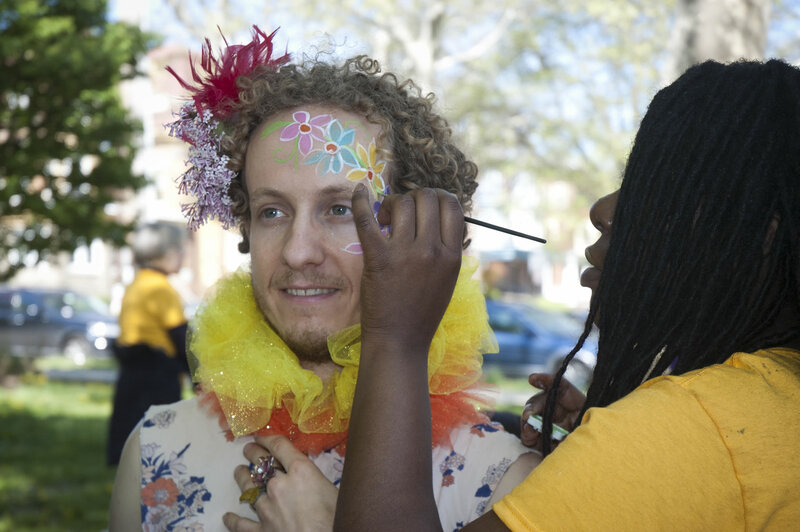 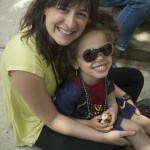 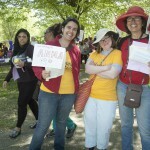 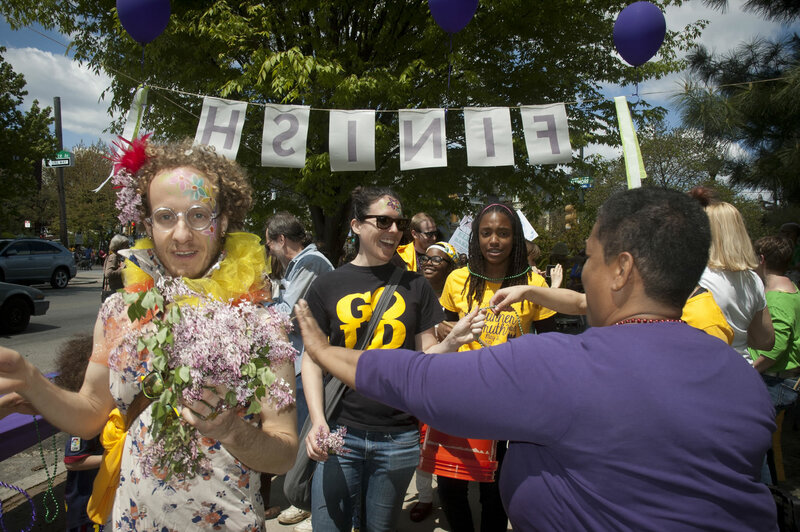 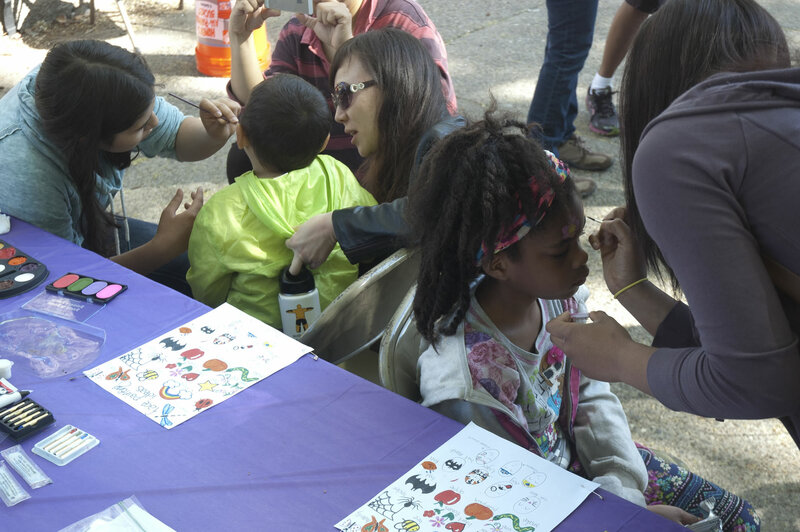 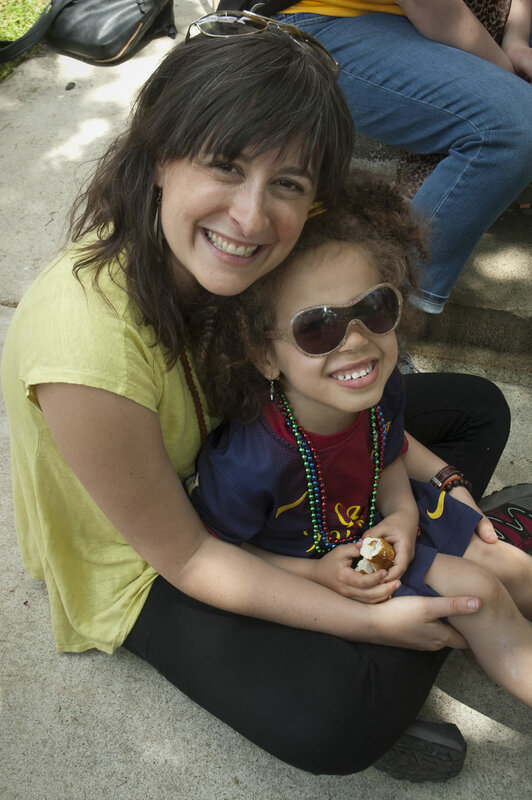 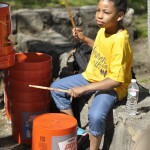 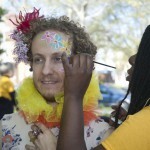 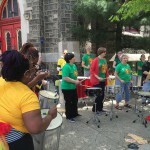 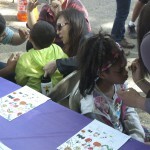 Below are images of the many facets of the day: gathering in Clark Park for registration, face painting, and sign-making; walking and drumming through West Philly; female activist history timeline along the 5K route; crossing the finish line at the Calvary Center for Community and Culture with Unidos da Filadelfia playing samba music while onlookers cheered; eating lunch together and enjoying words from City Council candidate Helen Gym, researcher and educator Natalie Nixon, youth activist Ebony Baylis, State Representative James Roebuck, and camp teen leaders Ainye Clarke, Camille Coleman, Tahylor Ladson, and Taylor McClain. 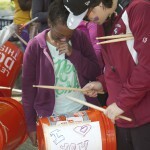 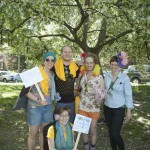 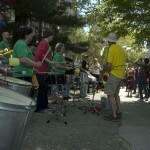 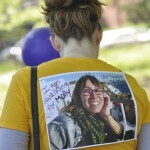 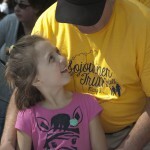 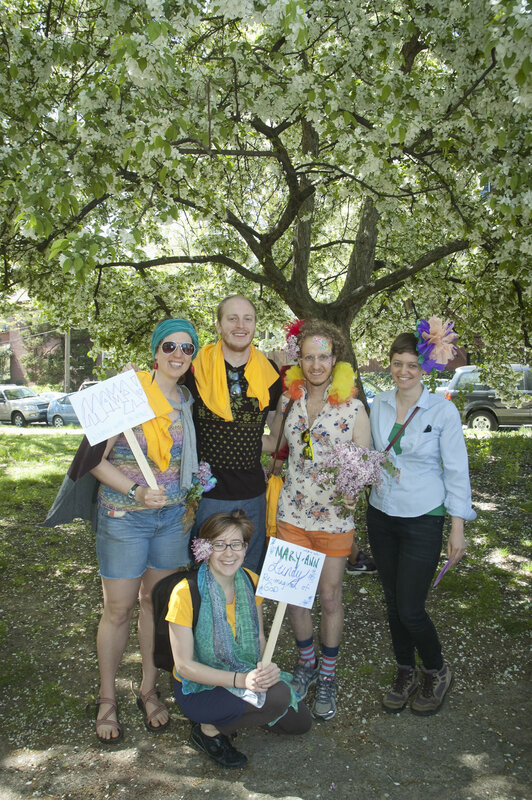 Thanks to Andrea Rollefson and Emily Zeitlyn for taking these pictures! 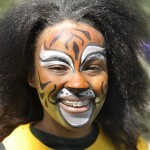 There are also some great videos on our Facebook page. 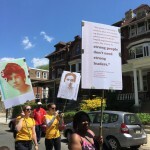 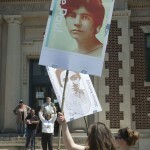 Also, many thanks to the Women’s Way Young Women’s Initiative for all of their help with this event, and to Cassie O’Connell for her help with the female activist history timeline displays. 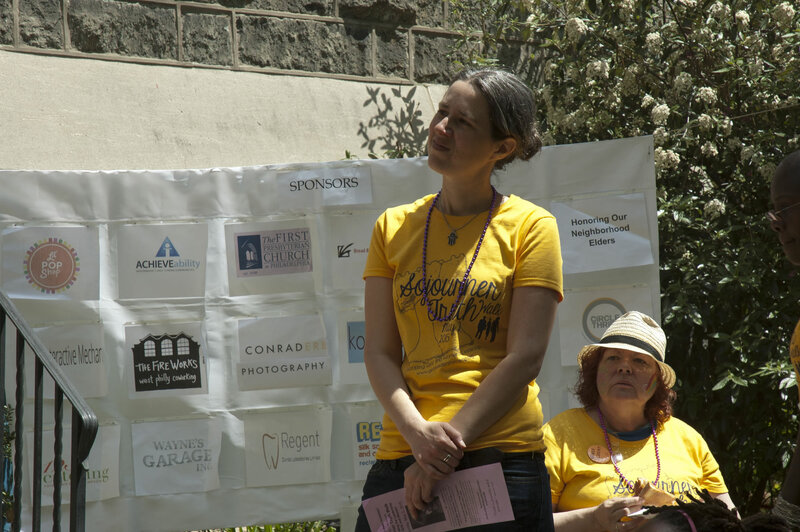 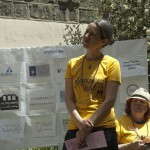 We are extremely grateful to our sponsors, participating organizations, performers, and speakers.